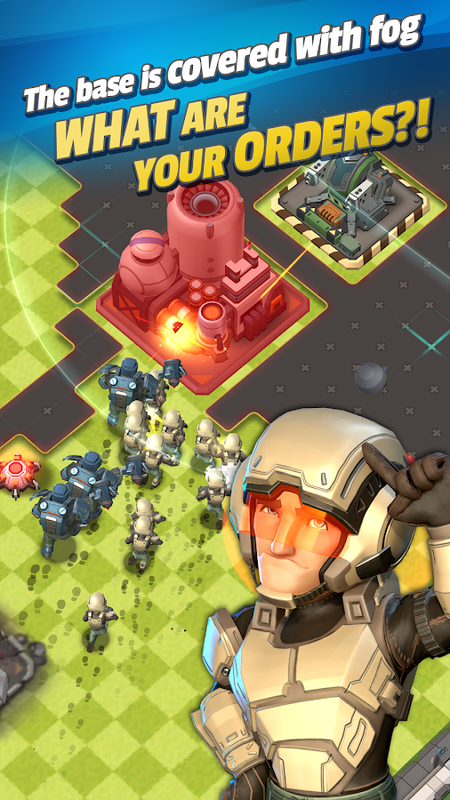 1.23 Mad Rocket: Fog of War - New Boom Strategy! 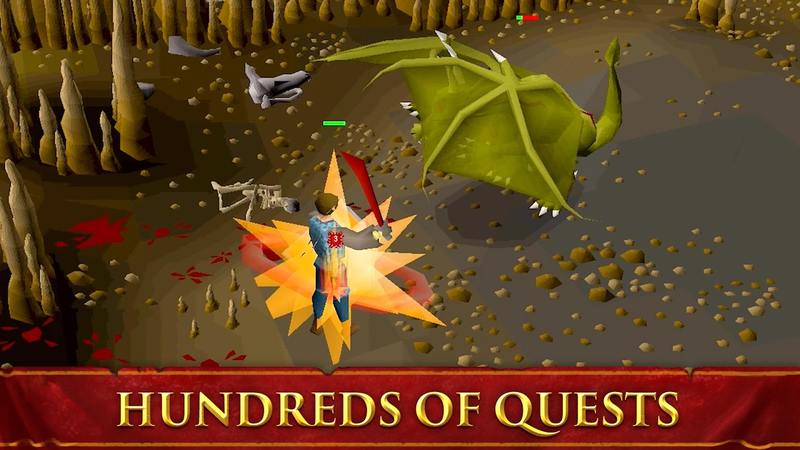 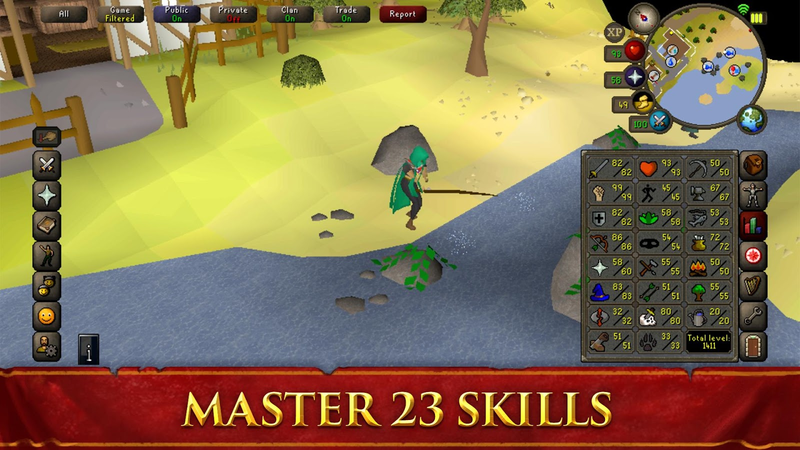 Old School RuneScape has been available on the Play Store for a little while now, but before October 30th, you had to pay for a membership to play. 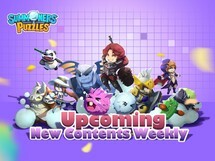 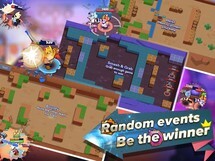 Now that the game has been officially released, anyone can jump in thanks to the newly available free-to-play section. 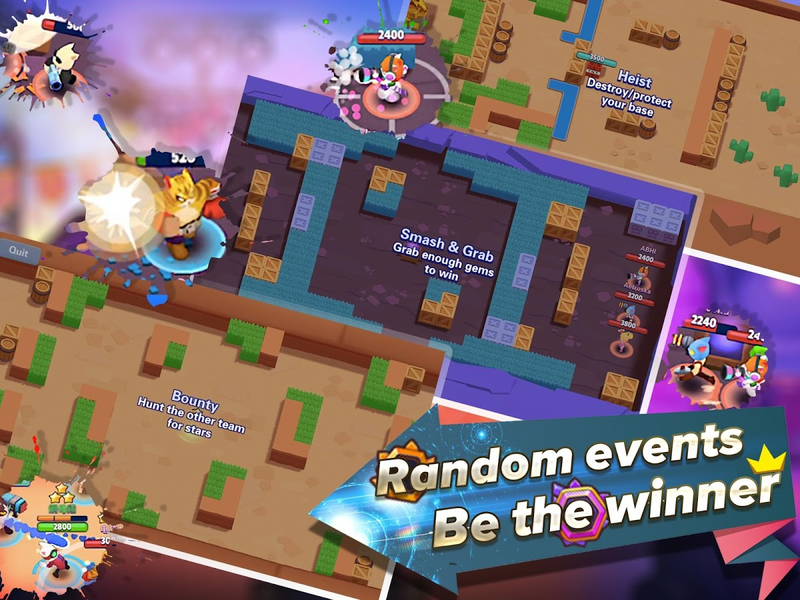 This content will be slightly limited, but it makes for an excellent opportunity to try the game before you decide if you want to spend any money on a subscription. 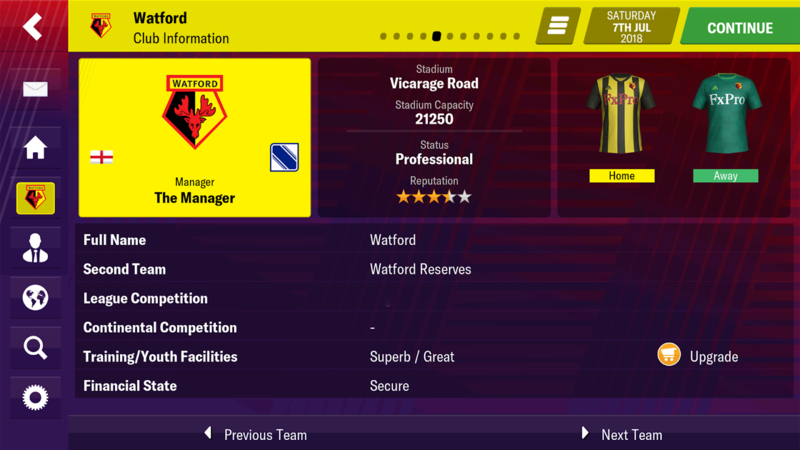 Football Manager 2019 Mobile is, of course, the latest iteration of the mainline series, and it contains the most recent updates for the 2018/19 season. 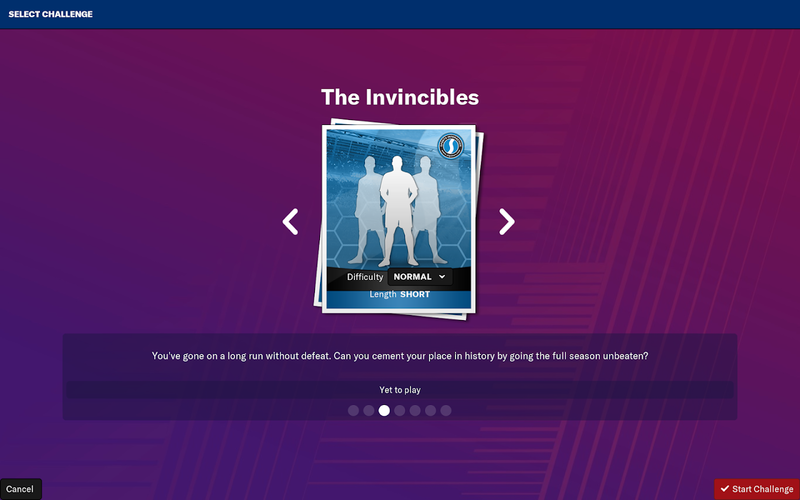 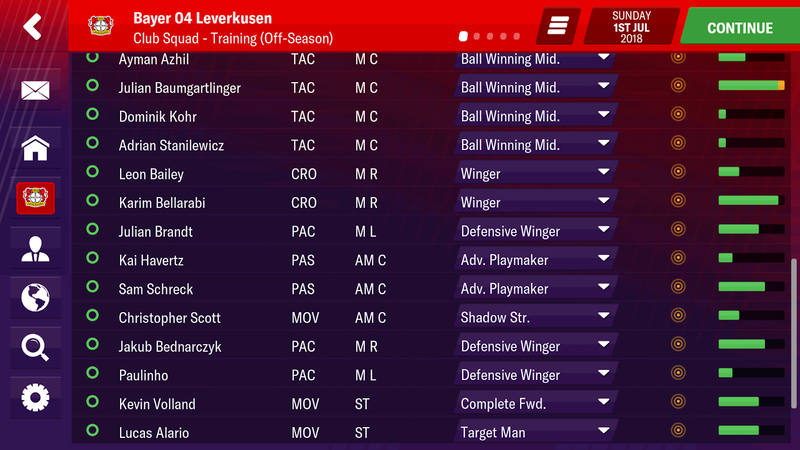 The gameplay is still pretty much the same as last year's release, though there are a few additions, such as new destinations, new leagues and licenses, a new customizable training system, fully-customizable squad numbering, and a refreshed user interface. 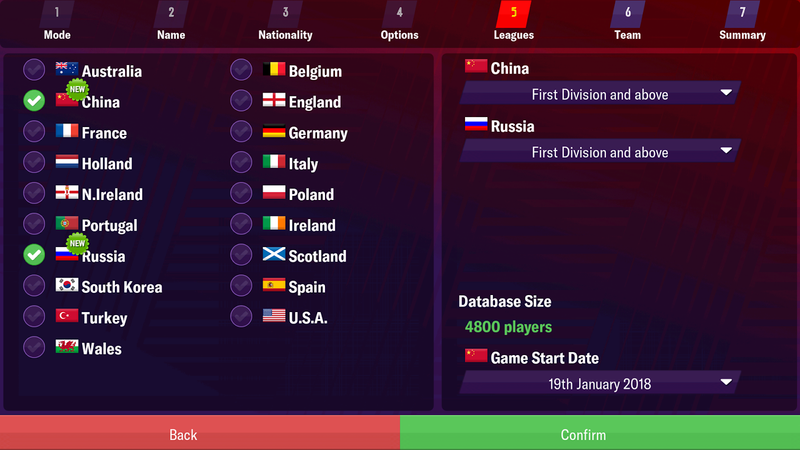 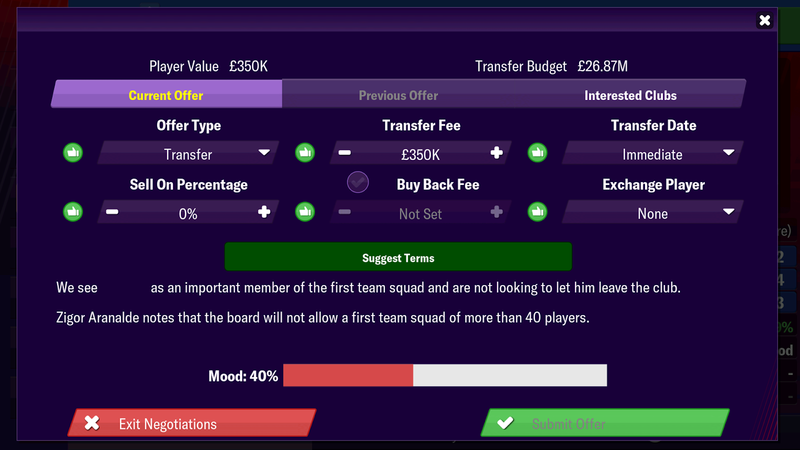 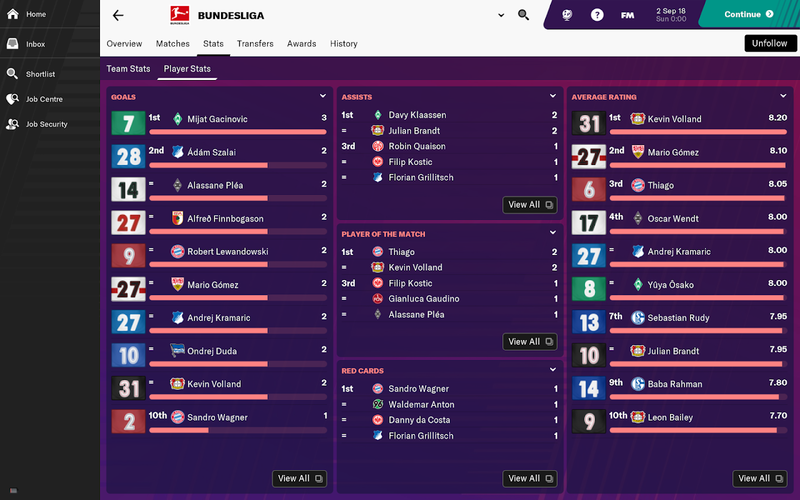 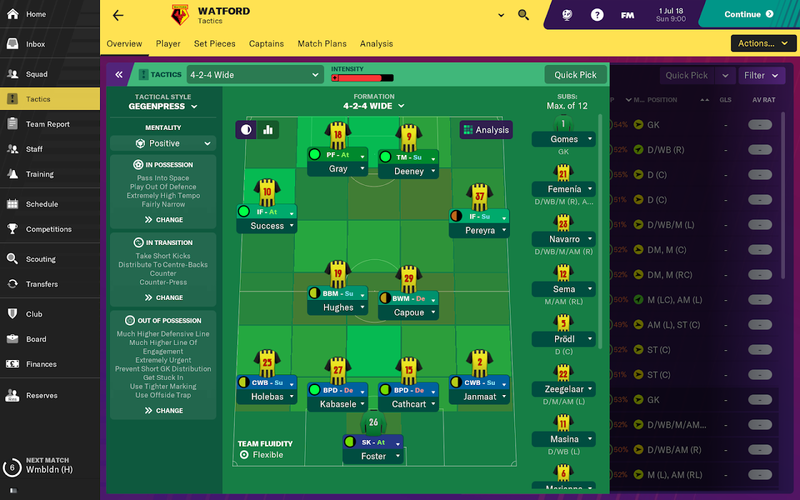 Football Manager 2019 Touch is a more streamlined version of the soccer management sim. 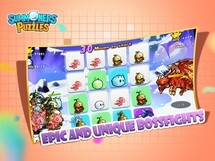 It's also tuned for larger screens such as tablets. 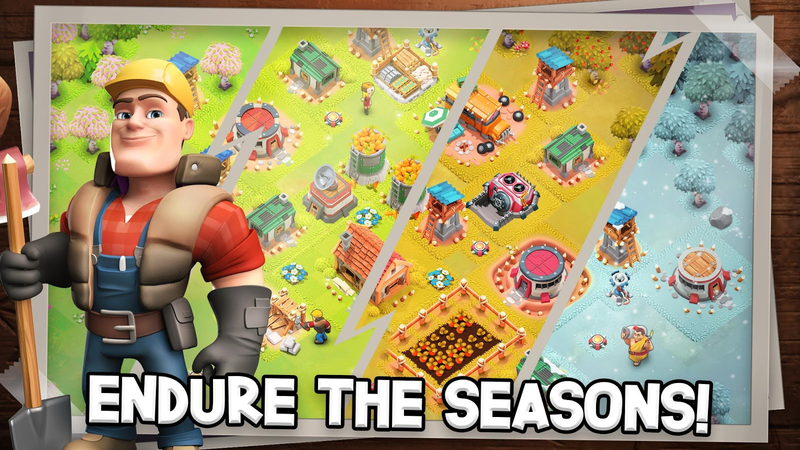 If you are wondering what's different from last year's release, there are actually quite a few changes to be found. 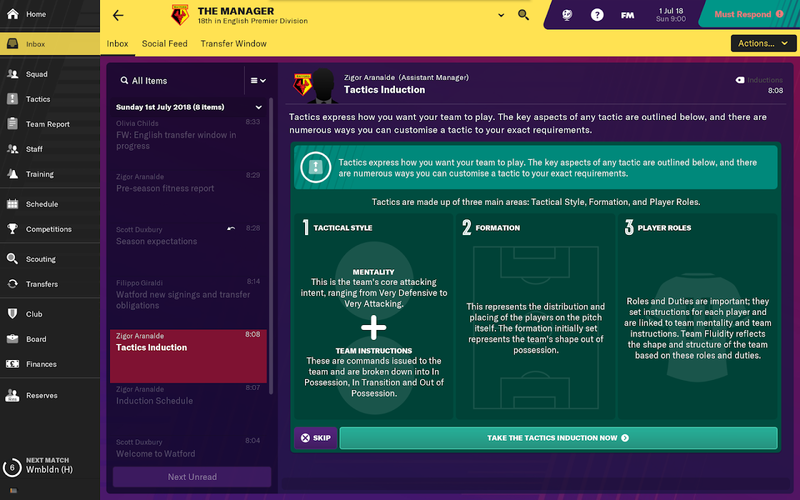 The new manager inductions allow less experienced players to get to grips with different responsibilities, which is very helpful. 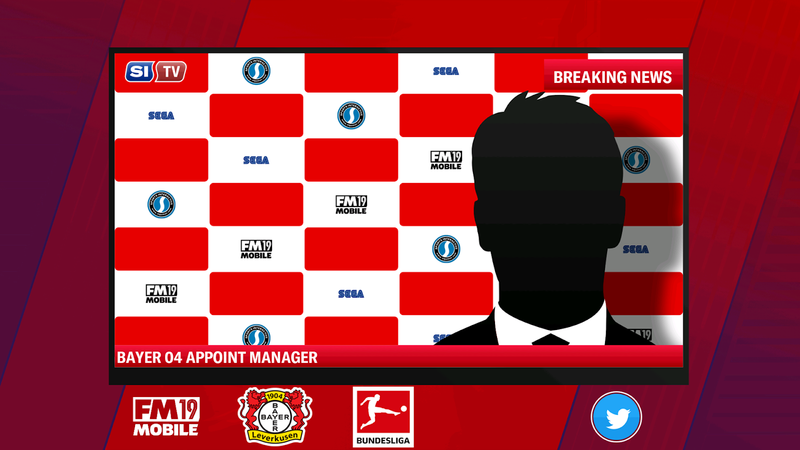 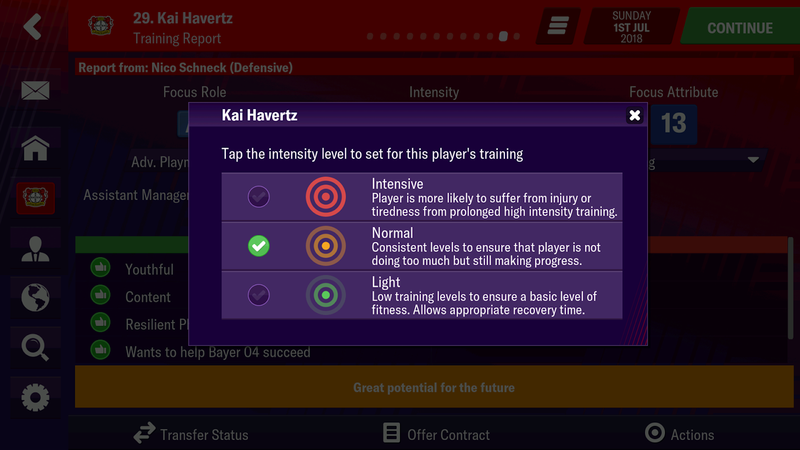 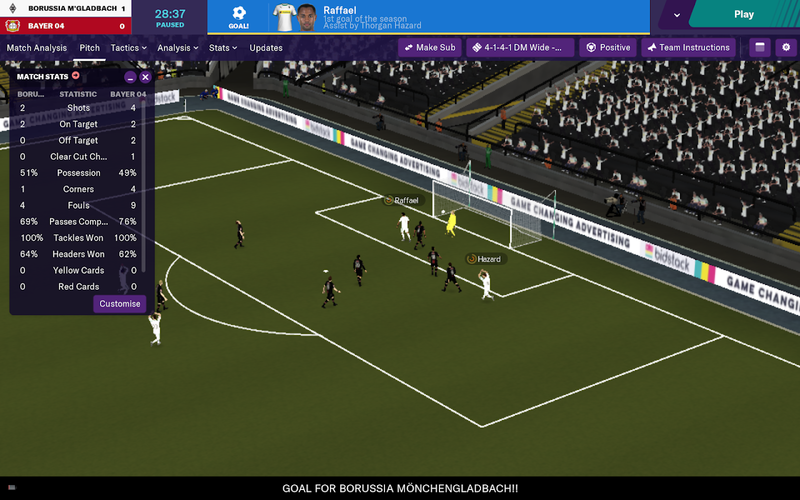 Plus you can expect to find new tactical pre-sets, the additions of the top two divisions in German football, a revamped training module, and a refreshed UI. 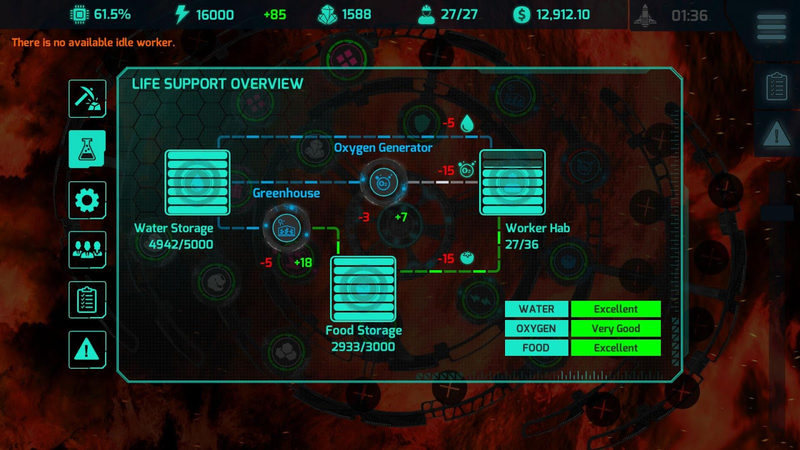 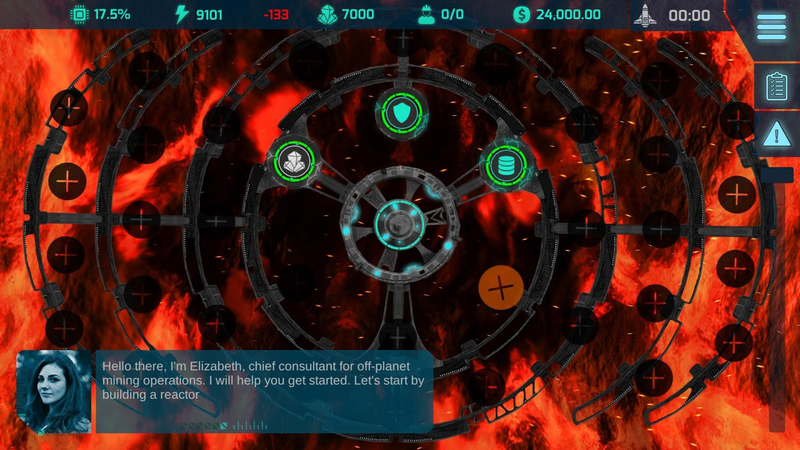 Pantenite Space Mining is an enjoyable strategy game that's all about resource management and base building. 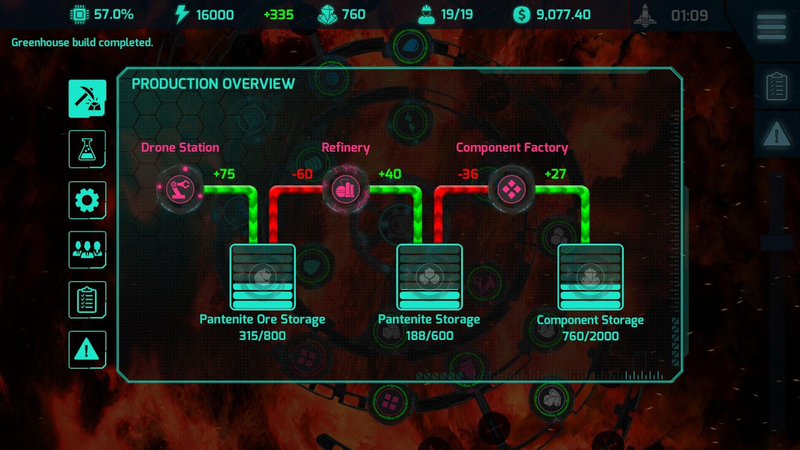 Your survival depends on your ability to mine as much pantenite ore as possible, all while expanding your base and micromanaging your workers. 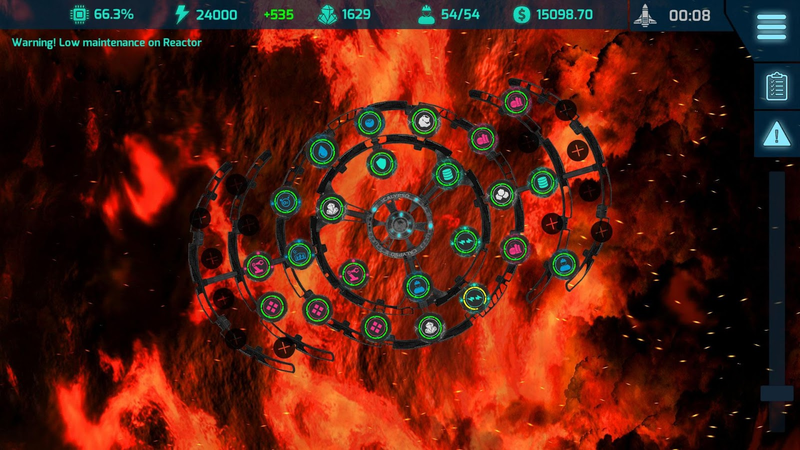 So it's up to you balance all of this while simultaneously battling the many hazardous and unpredictable conditions of space. Ammo Pigs: Armed and Delicious offers a delightful run 'n gun platformer with pixel-based graphics and plenty of destructive action. 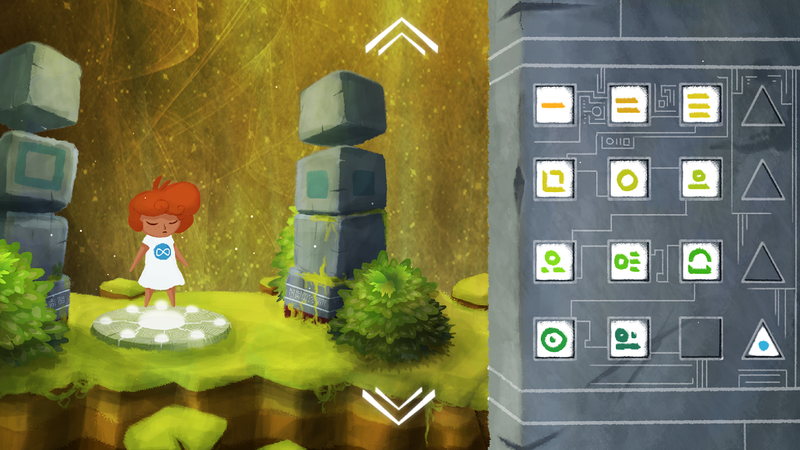 The controls take a little getting used to as they are fixed on the screen, but they are manageable. 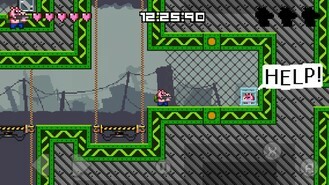 So if you are looking for a new platformer to make your way through, Ammo Pigs makes for a solid choice. 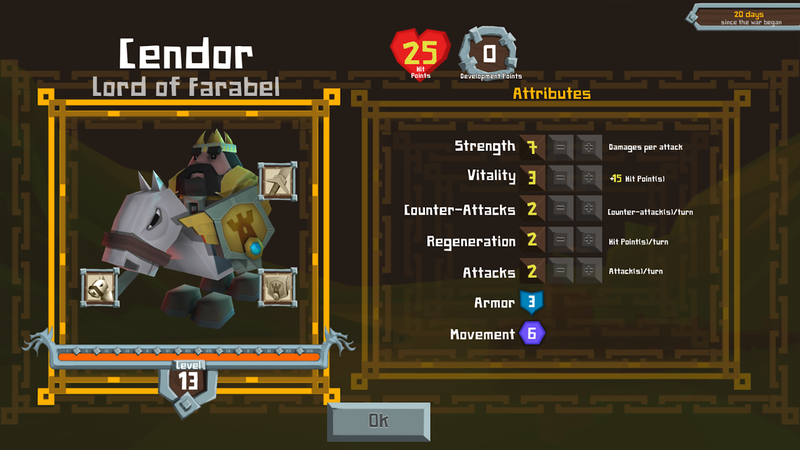 Farabel is a turn-based strategy game that amazingly isn't littered with in-app purchases and lame free-to-play mechanics. 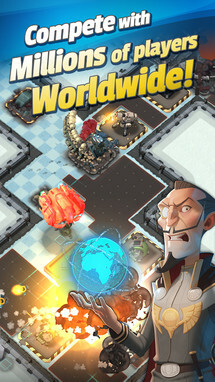 So if you have been looking for a premium strategy game similar to that of quality PC games, this is it. 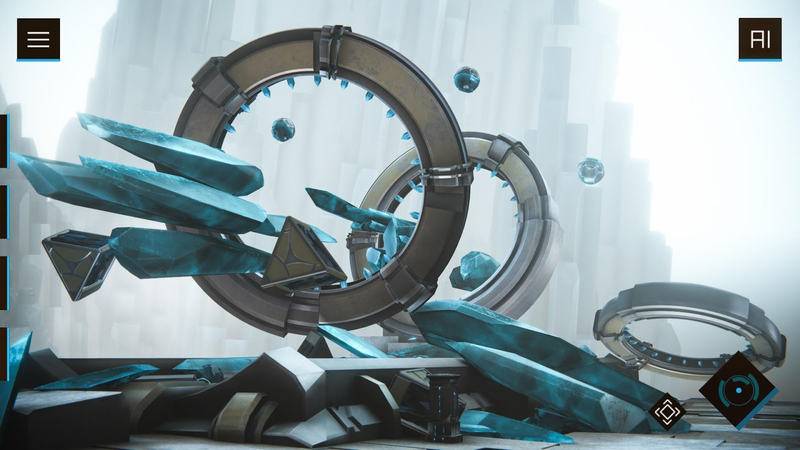 Sure, it may not contain graphics that will blow you away, but such a compromise may be worth it if the gameplay actually holds up. 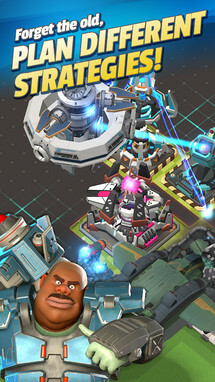 Luckily the funky time mechanics used in this release make for an exceptional strategy game that isn't quite like anything you've ever played before. 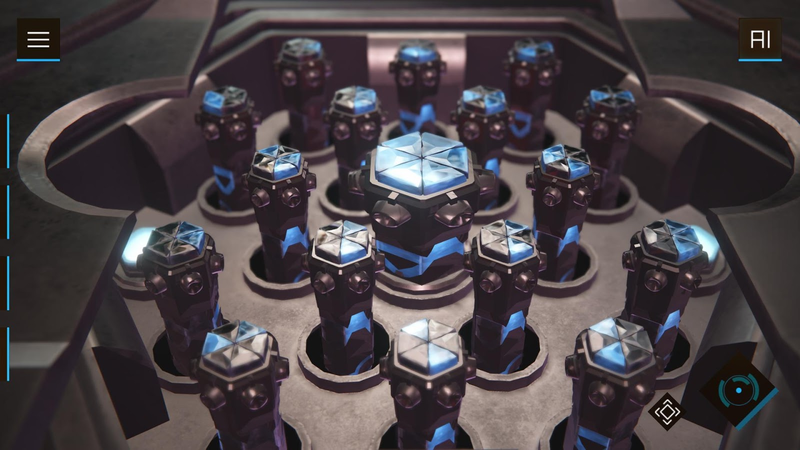 Imagine a puzzle game where death isn't the end, but a mechanic that's used to solve each puzzle. 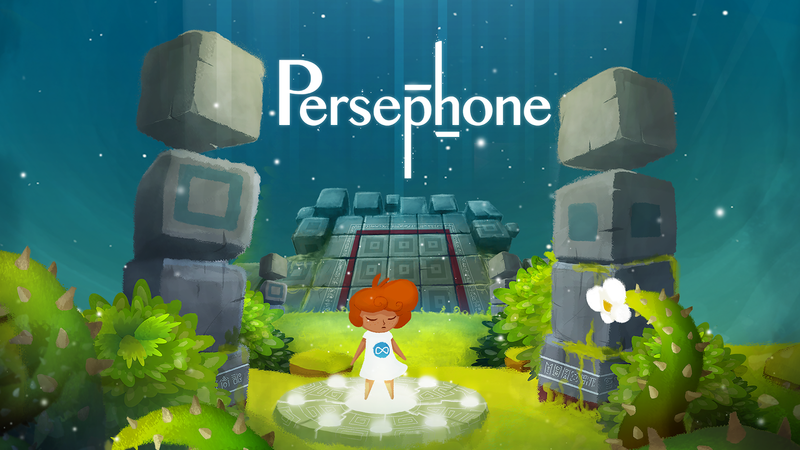 Well, that's exactly what you get with Plug in Digital's latest release Persephone. 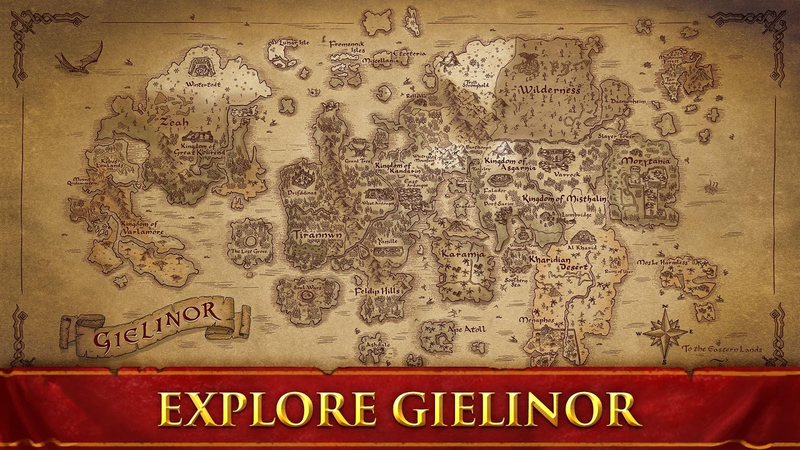 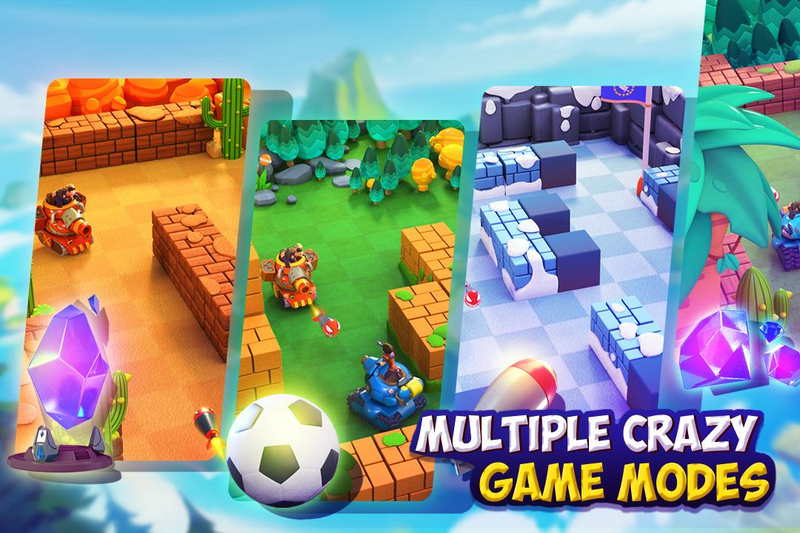 The first thing you'll notice is that this release has very charming graphics, and considering that you have five separate environments to explore, you can expect the puzzle-filled gameplay to stay fresh thanks to the continually evolving scenery. 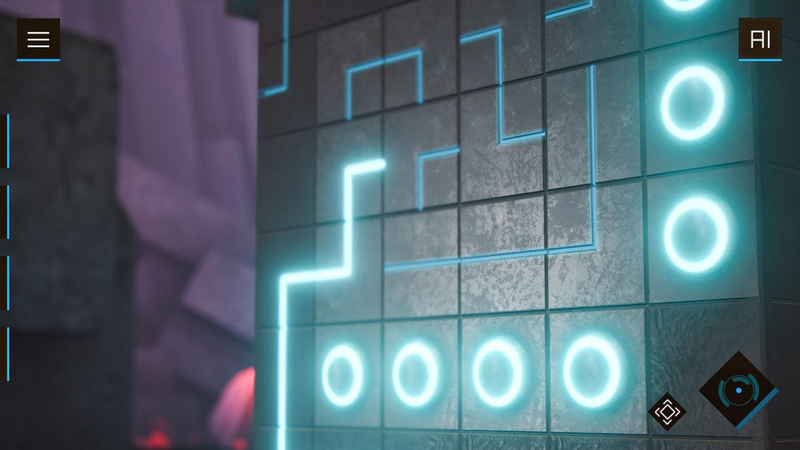 There's a total of sixty puzzles to solve, and it's up to you to choose where and when you die so that you can progress through them all. 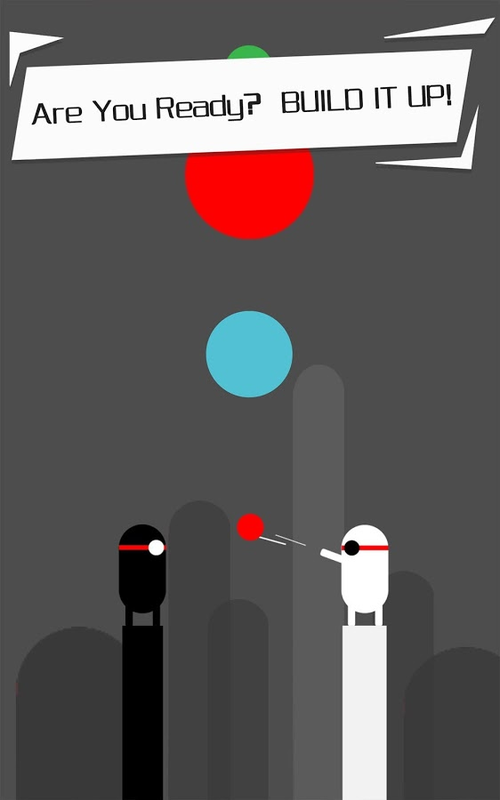 Oh, and if you'd like to try the game for free, there is a lite version available. 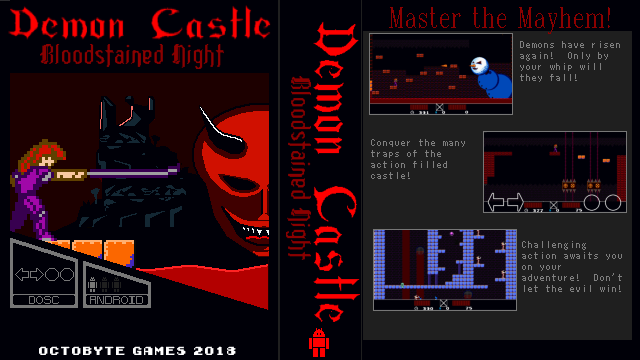 Demon Castle : Bloodstained Night is a solid Castlevania-like game recommended to me in the comments of last week's game roundup. 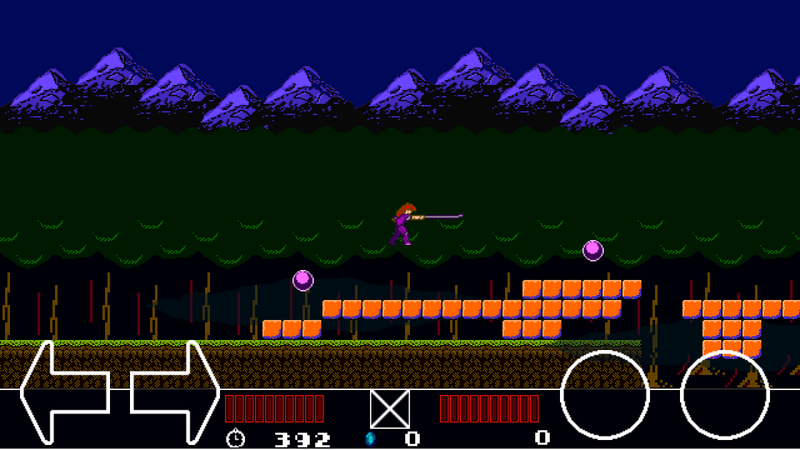 The graphics contain a classic yet simple 8-bit look, and the platforming action should be familiar to any fan of the Castlevania series. 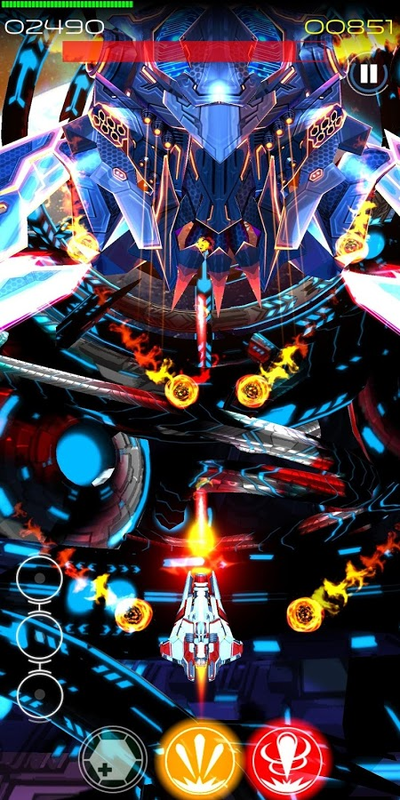 The developer even boasts in the Play Store description that the artwork is underwhelming, and while that humorous statement may have some truth behind it, the gameplay definitely holds its own. 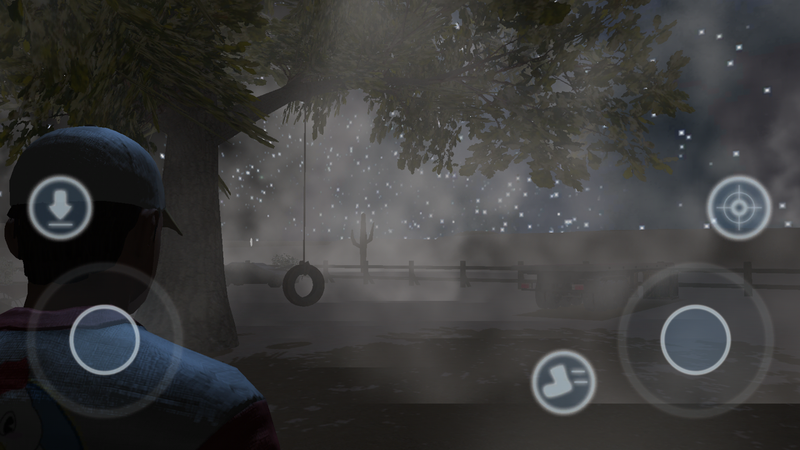 The release of Silver Falls Halloween serves as a limited teaser demo, and when I say limited, I'm not joking. 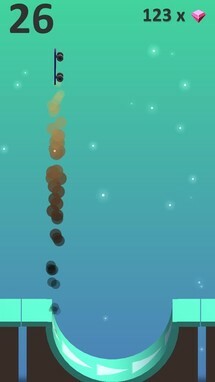 It's short. 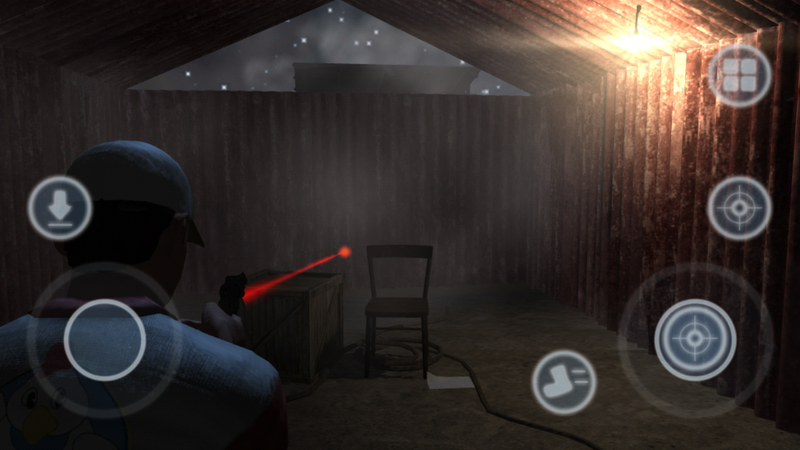 Your job is to investigate a horror-filled mystery that leads up to the events in the upcoming release of Silver Falls 3 Down Stars. 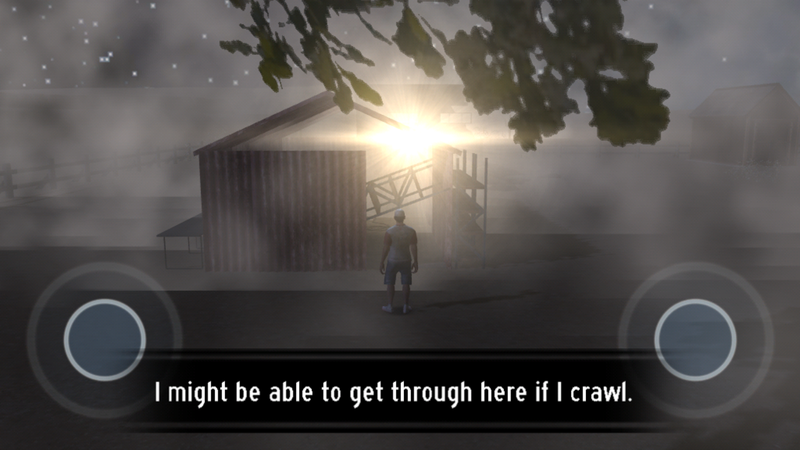 The gameplay is exploration-based, but you better believe there's a robust survival-horror aspect that envelops the story. 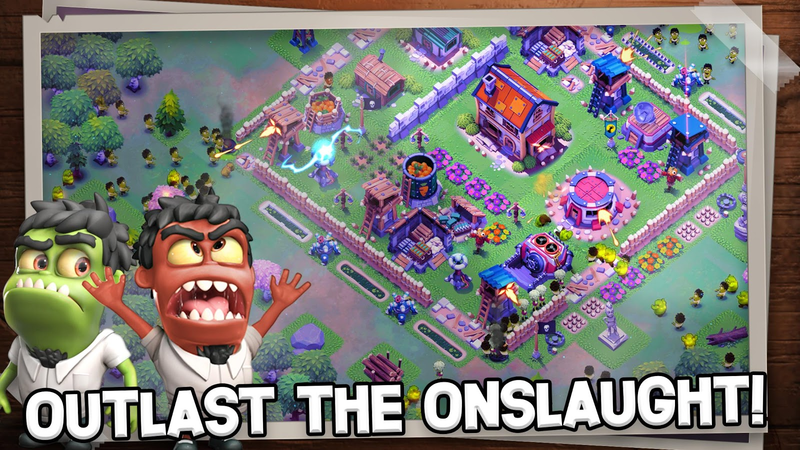 But really, it's all over before you know it, so don't expect a lot from this sneak peek. 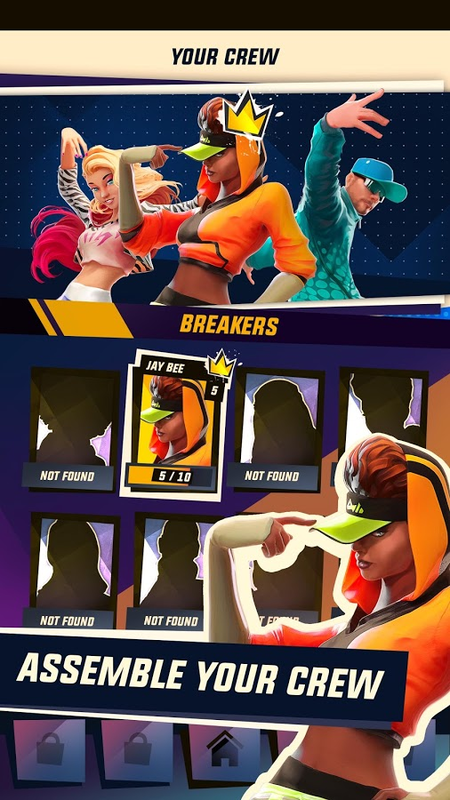 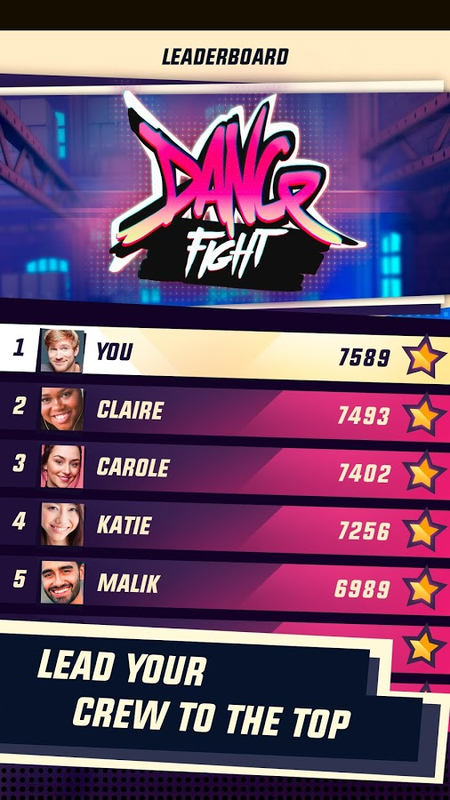 Dance Fight is the latest release from Gameloft, and it's basically a rhythm game that offers real-time PvP dance battles. 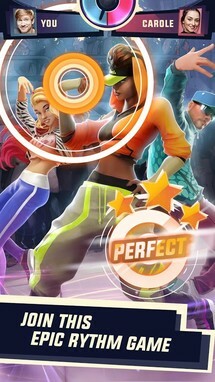 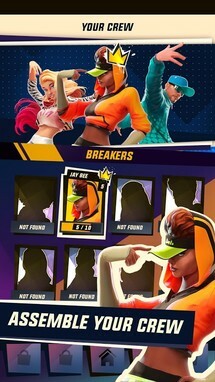 You can unlock and recruit plenty of colorful crewmembers for your fledgling dance studio, and each character comes with their own unique set of talents. 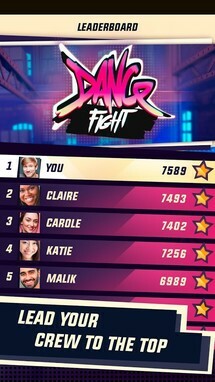 As you train these dancers, you can also build and upgrade your studio. 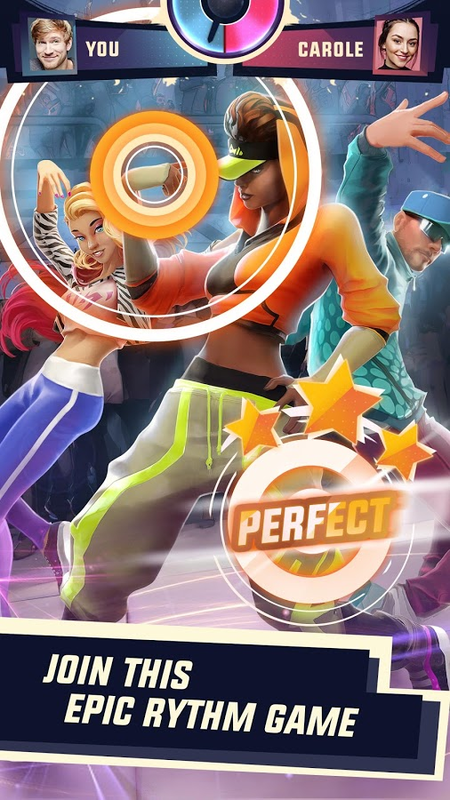 In the end, your goal is to become the world’s #1 dance crew. 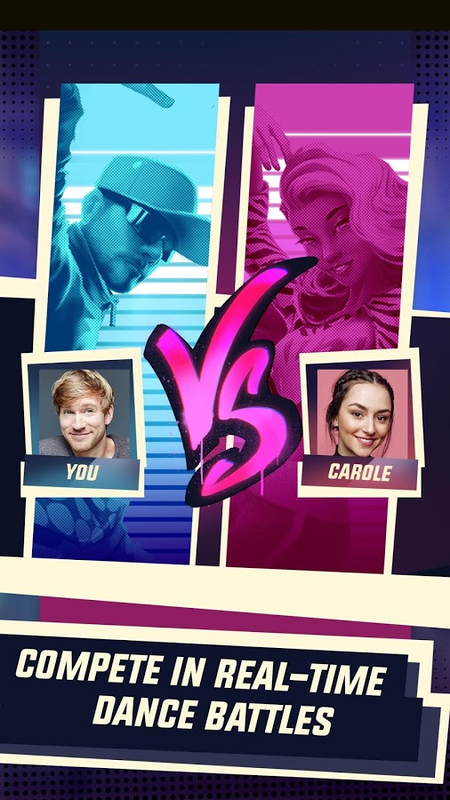 Just keep in mind that the title is still in testing, which is probably why the monetization hasn't been turned on yet. 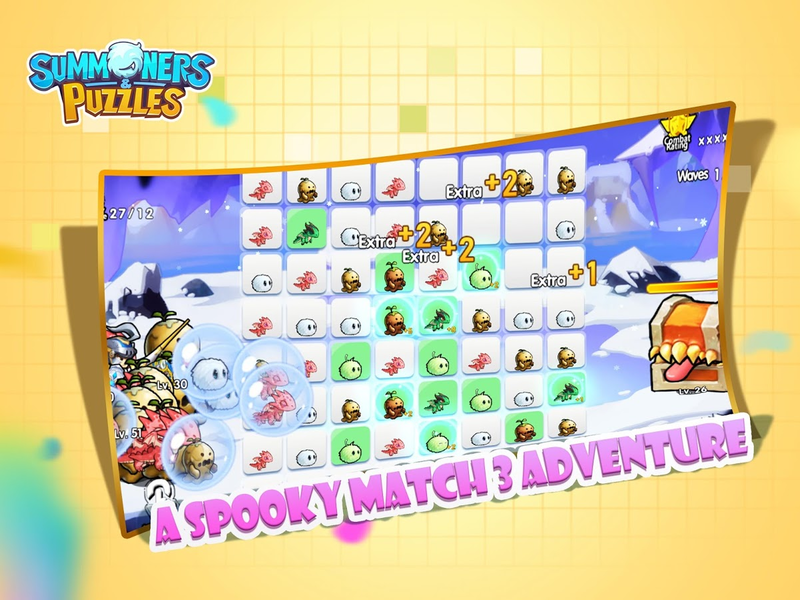 Chimparty isn't quite a game on its own since you will need the PS4 title of the same name to utilize this release. This title works as an interface for the console game. 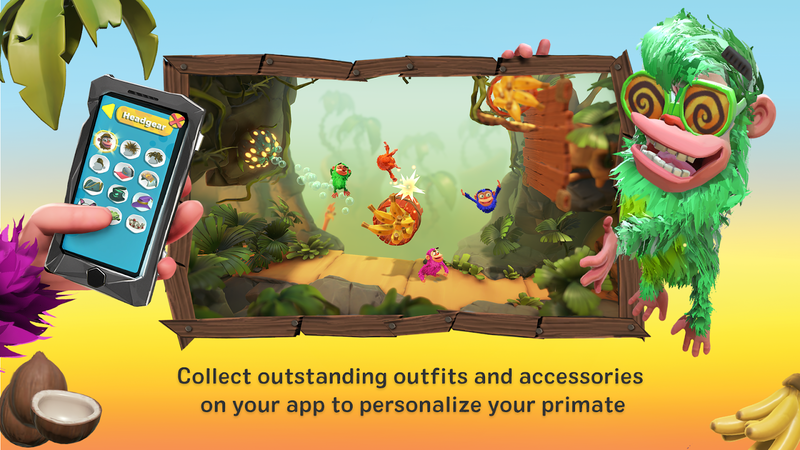 The one-button design ensures that it's easy to use, which means the whole family can get in on the fun while playing with their Android device as a controller. 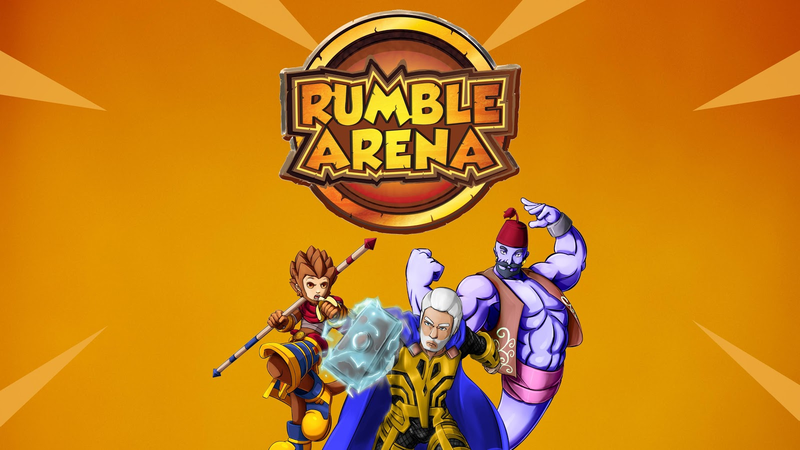 If you couldn't tell by the title, Rumble Arena PVP: Super Smash Legends is a brawling game similar in fashion to Nintendo's Super Smash Bros. 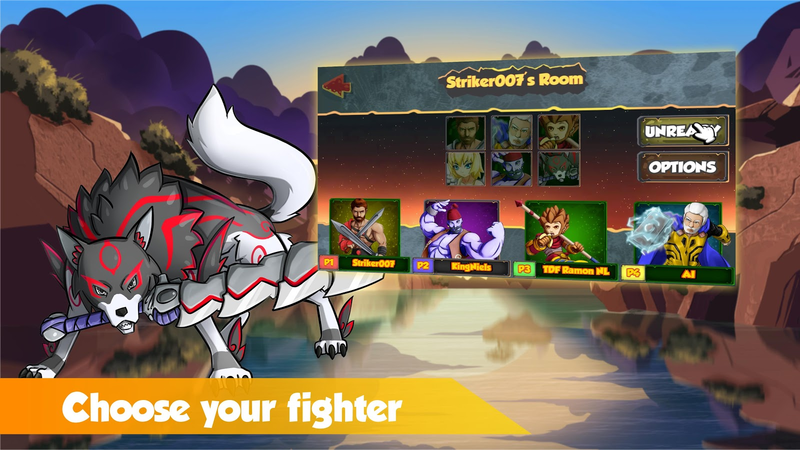 This means you can fight against your friends in real time, with up to four people in each match. 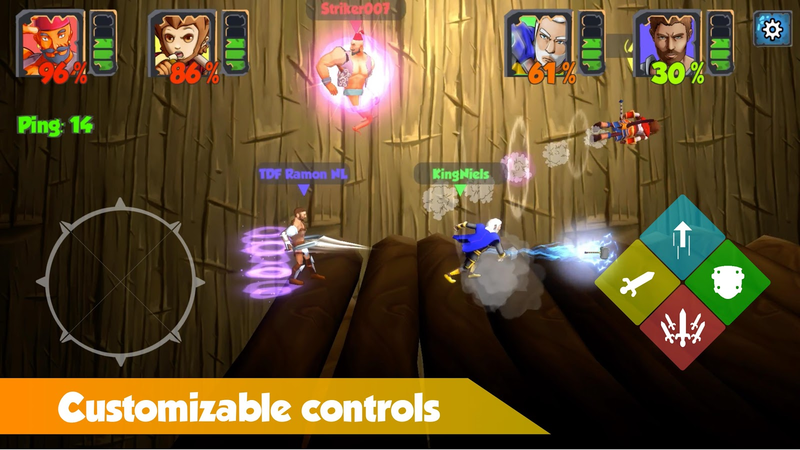 Physical controllers are supported, and you can even edit the mapping in the settings to best suit your needs. 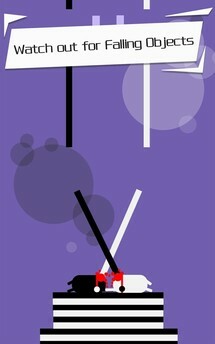 Swing..! is a game I have been keeping my eye on for a little while now. 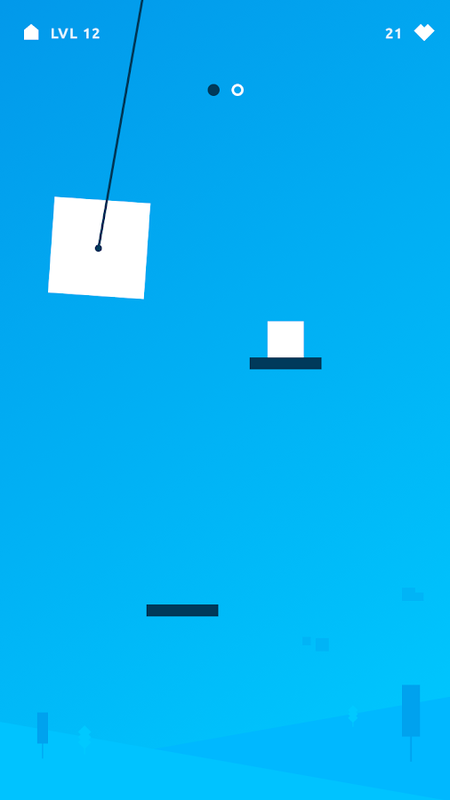 Now I know the graphics may look kind of simple, but trust me, the physics-based gameplay is very gratifying. 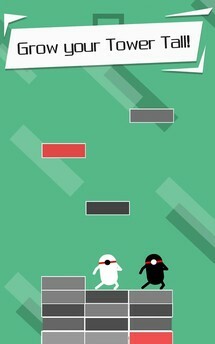 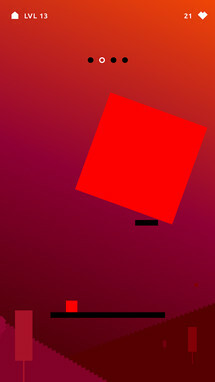 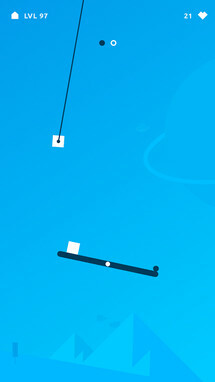 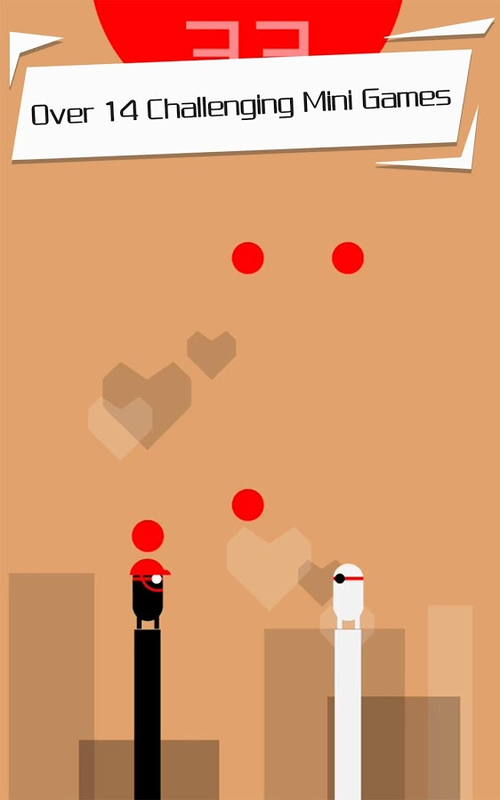 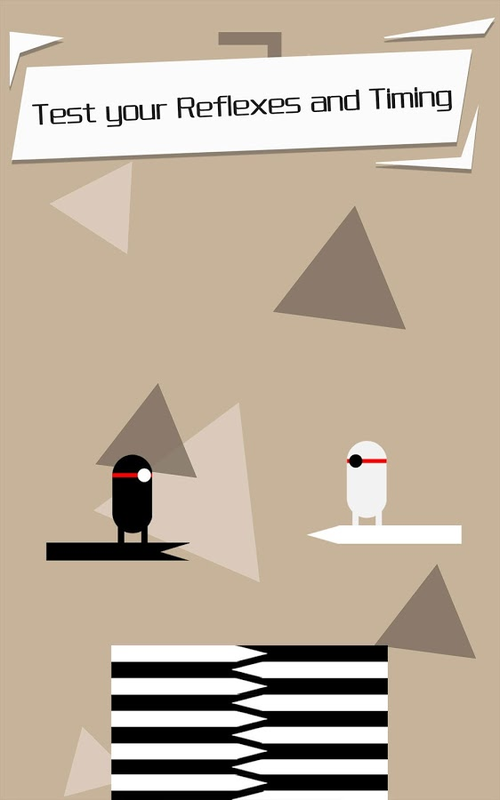 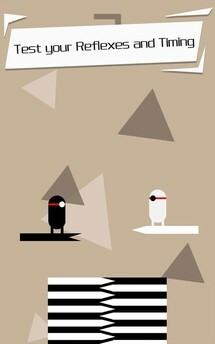 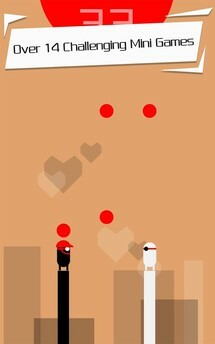 Blocks will swing in, and when you tap on the screen, they will fall. You want to time these taps so that each block lands on a platform. 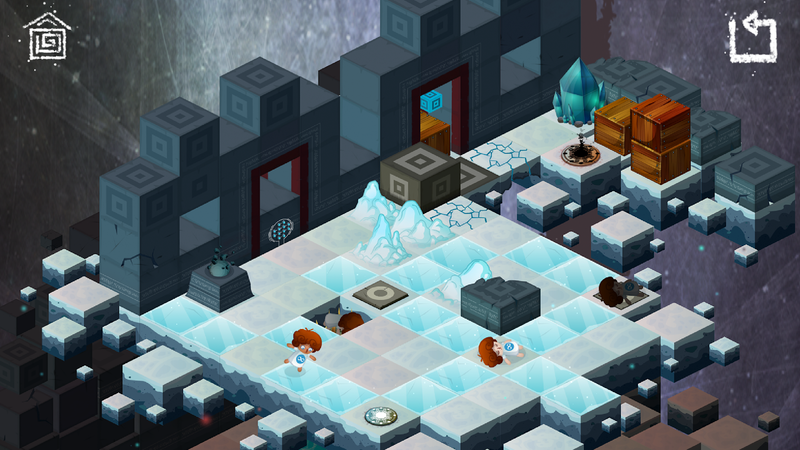 The thing is, there's often more than one block, and each one can interfere with the last. 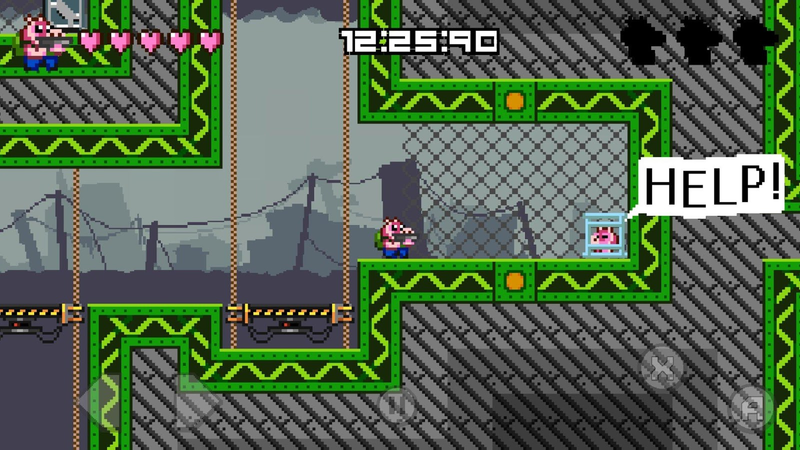 So you are going to have to drop each block with care, or you may actually push one off of its platform, and then it's game over. 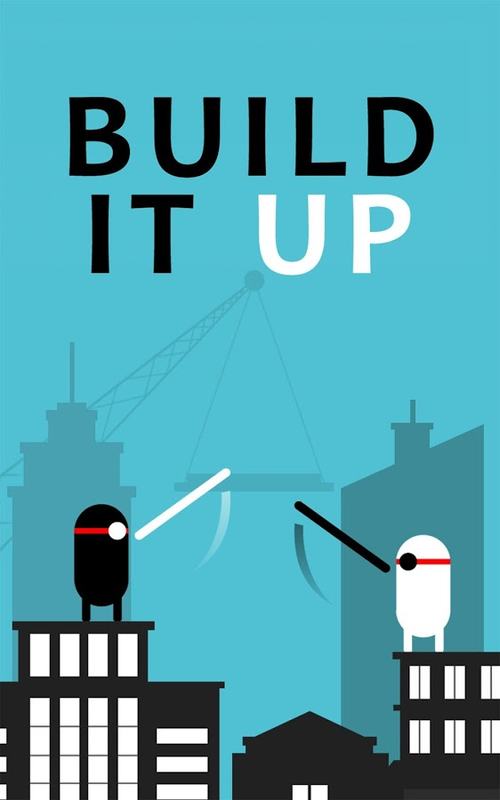 Build it Up plays like one of those casual tower building games, but thankfully it changes up the gameplay just enough so that you don't get bored with it immediately. 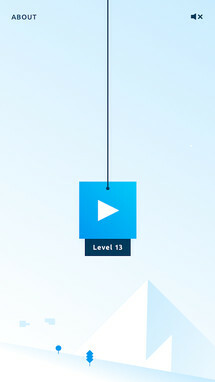 So instead of continually trying to build the same tower over and over again, you'll get to pop balloons, grab sticks, and smash platforms together. 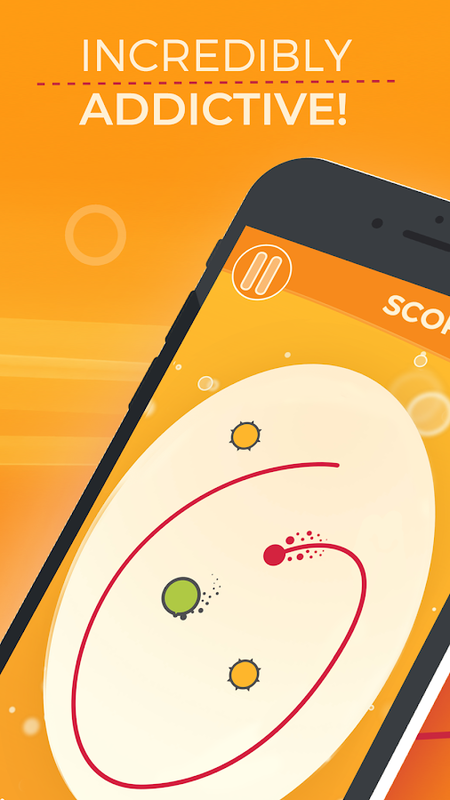 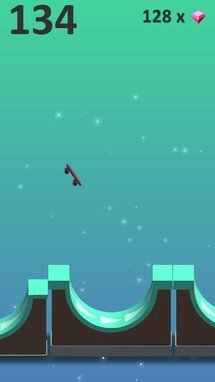 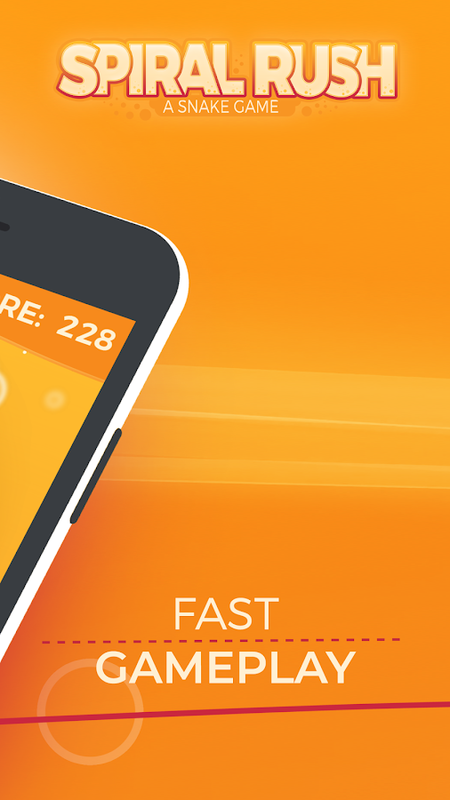 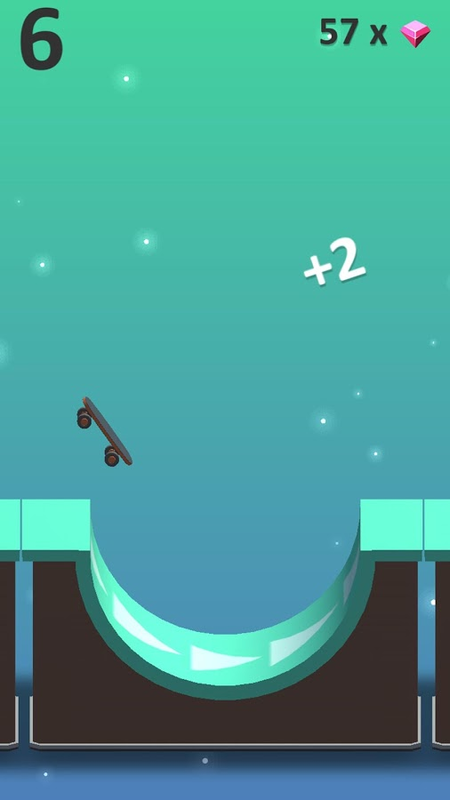 If you are looking for a fun little casual game, look no further than Ketchapp's Flippy Skate. 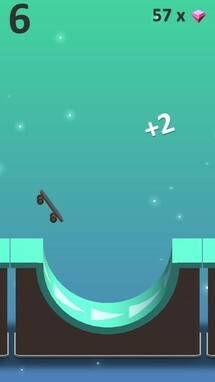 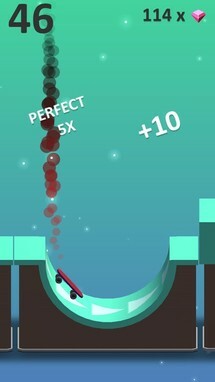 Your goal is to flip a skateboard as many times as possible, all while landing on numerous half-pipes with the board in the correct position. As you progress, these half-pipes will grow in size, which means you will fly higher and higher in the air, allowing you to flip many more times. Of course, if you misjudge your timing and land on the ramp with the board in the wrong direction, it's game over. 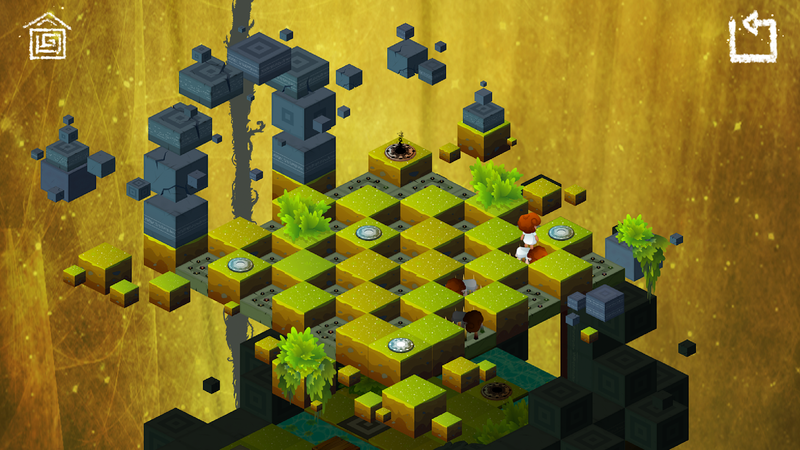 Returner 77 is a graphical adventure game with a heavy dose of "escape the room" puzzler elements. 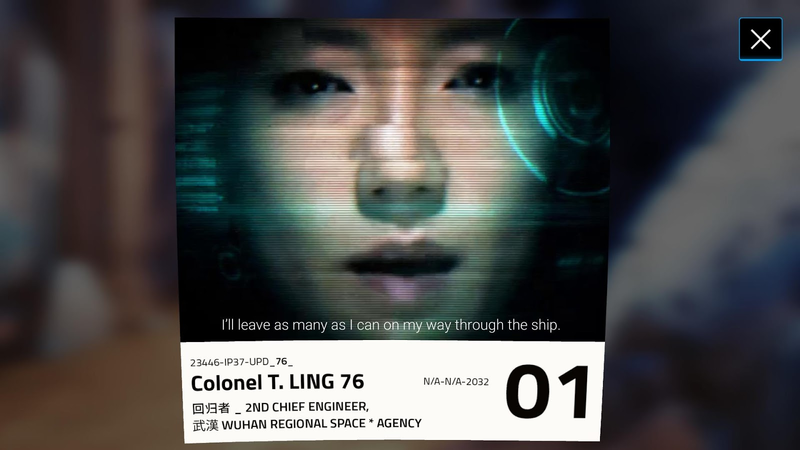 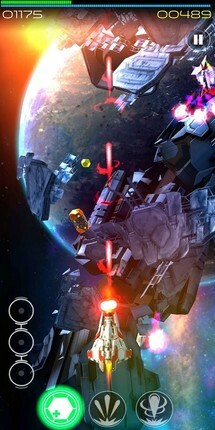 But unlike the games in The Room series, this release has a strong sci-fi theme that contains plenty of live-action video clips that fully immerse the player in the evolving story. 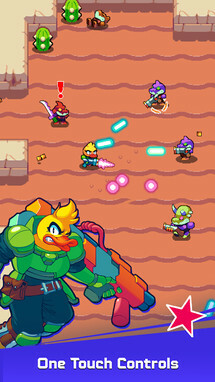 This particular release is a lite version of the full game that released months ago, so if you always wanted to give it a try, but didn't want to go out of pocket, give this release a look. 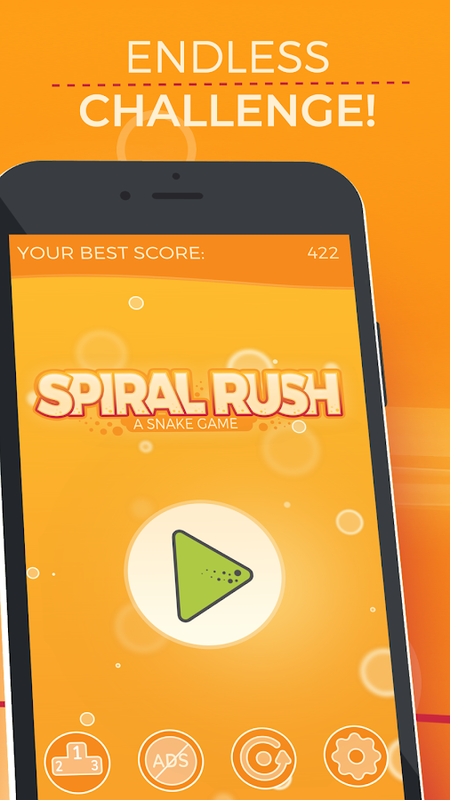 Spiral Rush offers an interesting take on the classic Snake gameplay. Just like in the games of old, you won't want your snake to touch any part of its body, but instead of playing on a square grid, everything in this release is circular. 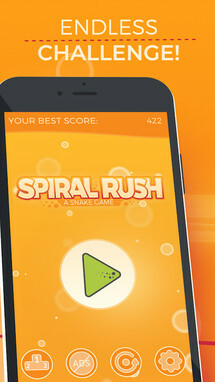 This means you'll have to spiral in circles, hence the title of the game. Your goal is to circle around the screen enough times so that a hole on the playfield turns green, and then you'll want to touch it with the tip of your snake so that you can move on to the next stage. Galaxy Warrior Classic is a new ad-free version of a solid shoot 'em up that released back in June. 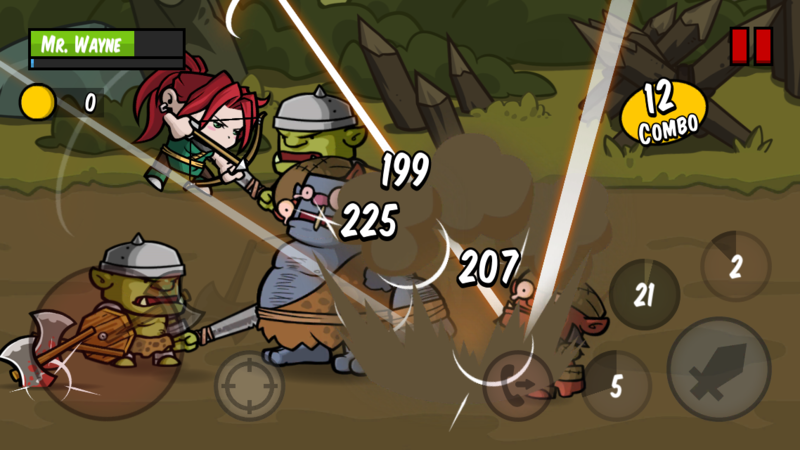 You have your choice of two different control schemes, though I find the default one-finger controls work best. 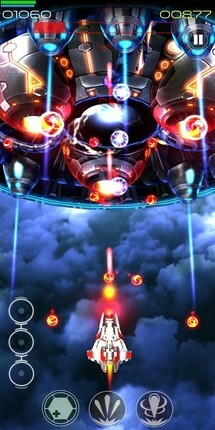 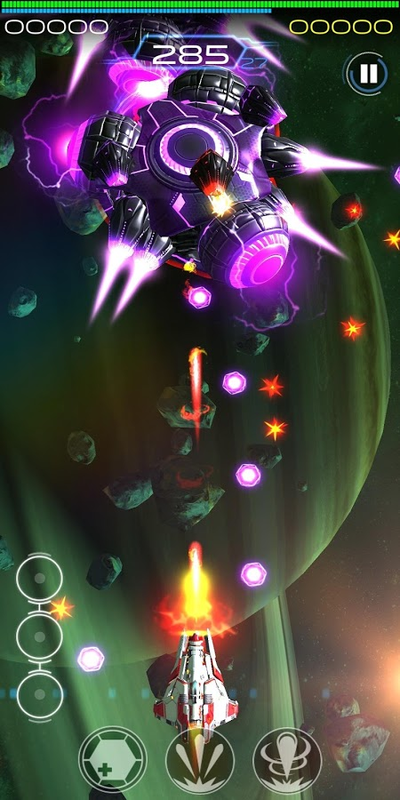 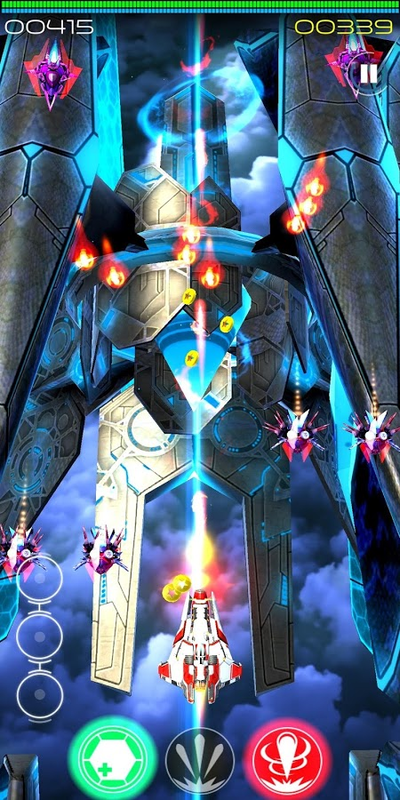 The graphics are indeed stellar, which means this is one of the best looking SHMUPS currently on the Play Store. 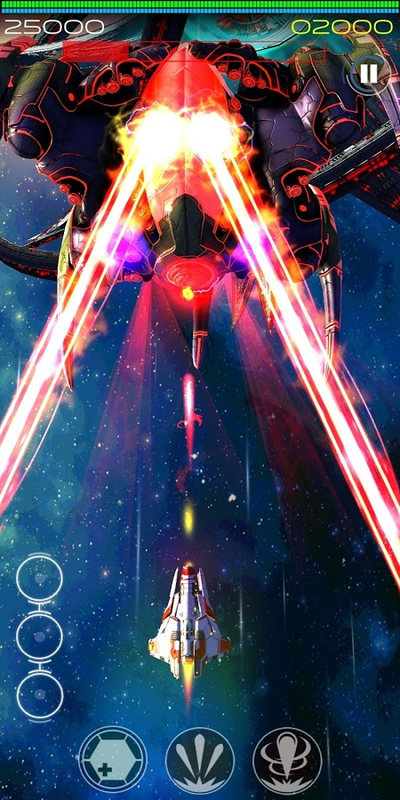 Galaxy Warrior Classic is indeed worth a look if you are a shoot 'em up fan, and if you'd like to give it a try without going out of pocket, make sure to check out the free version. 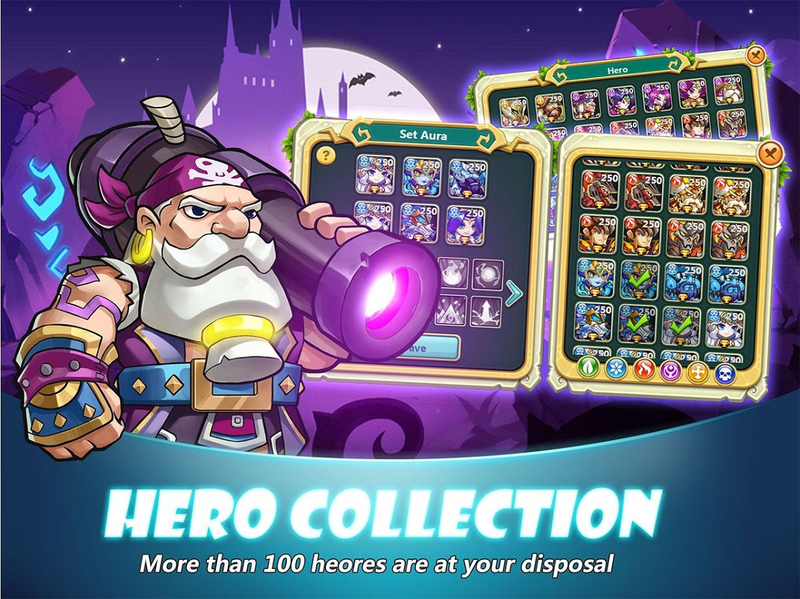 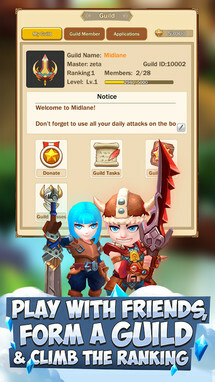 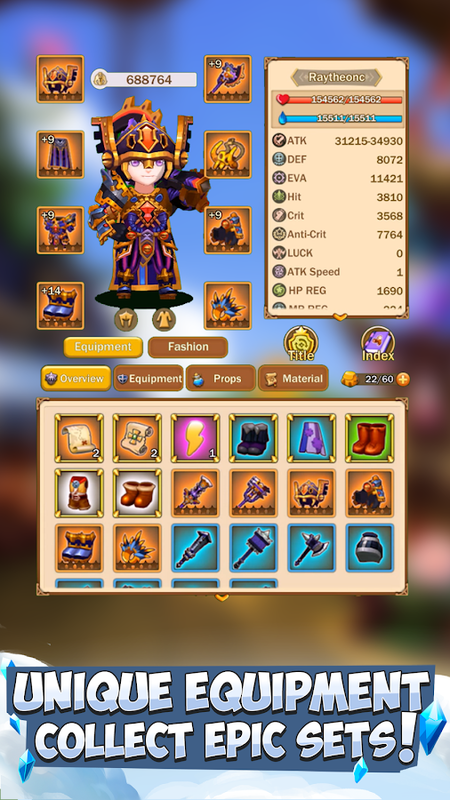 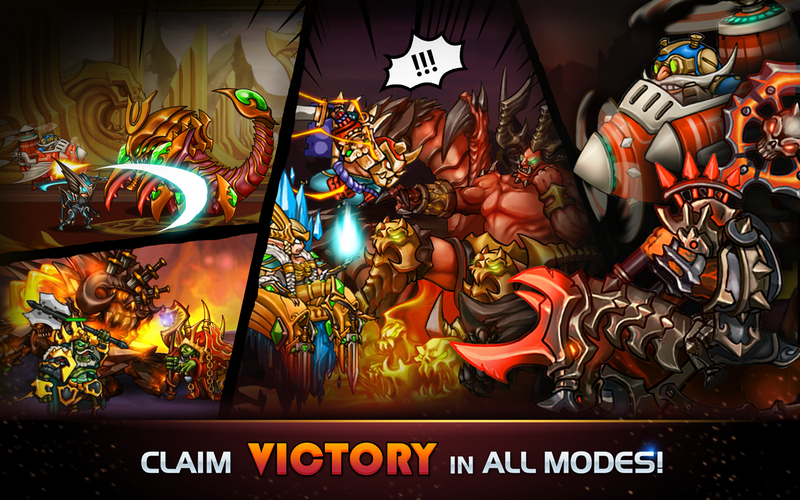 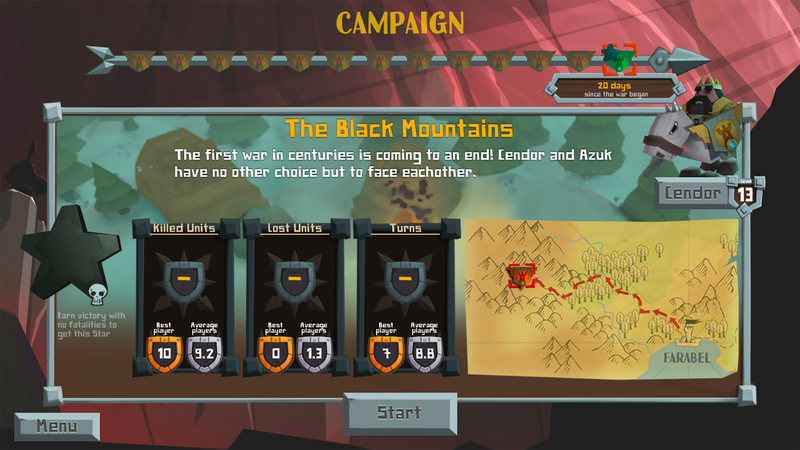 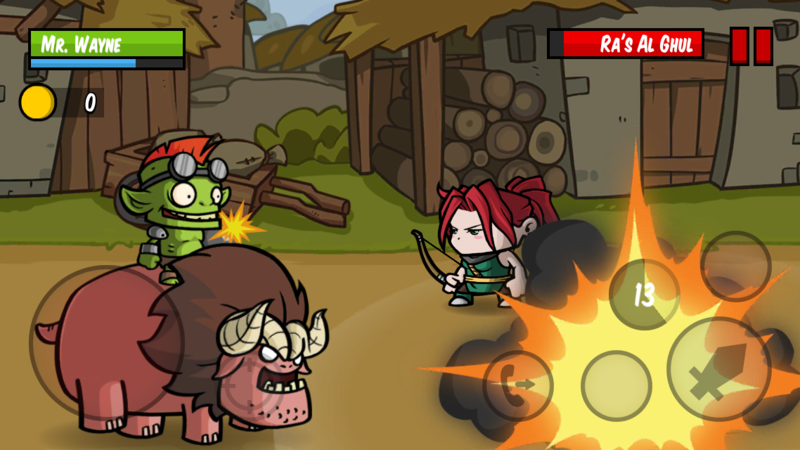 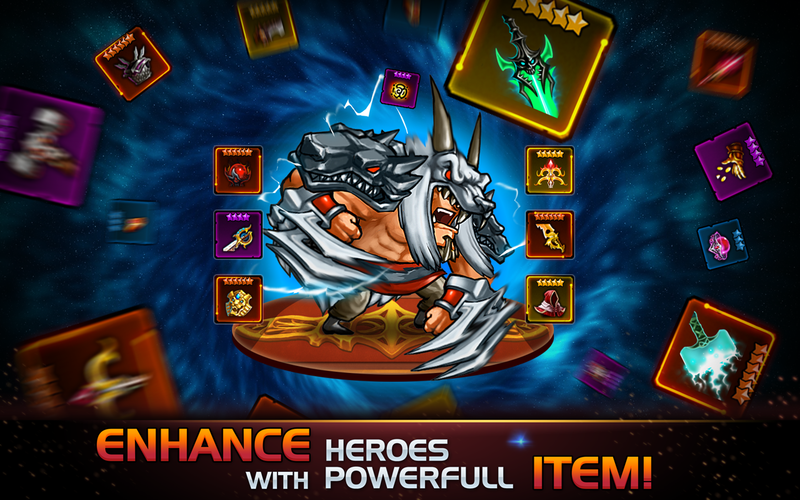 Legend Heroes is an action RPG with a heavy emphasis on collection. 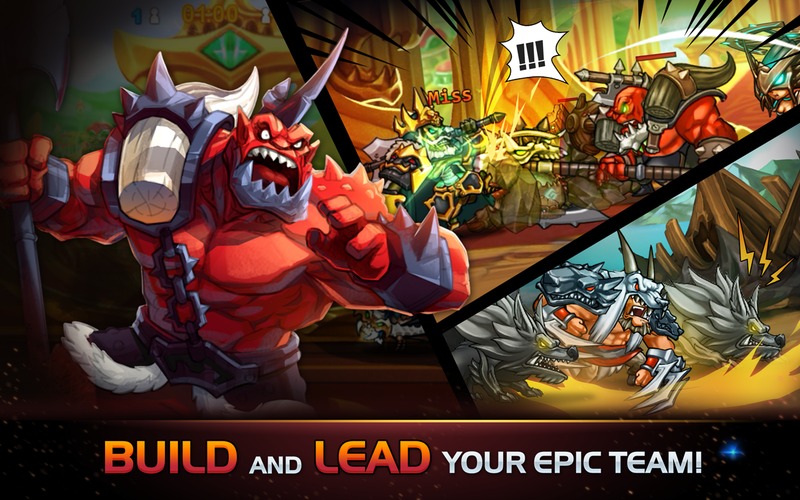 You'll get to build out your own team of gods, and fight through a solid selection of single-player and PvP content. 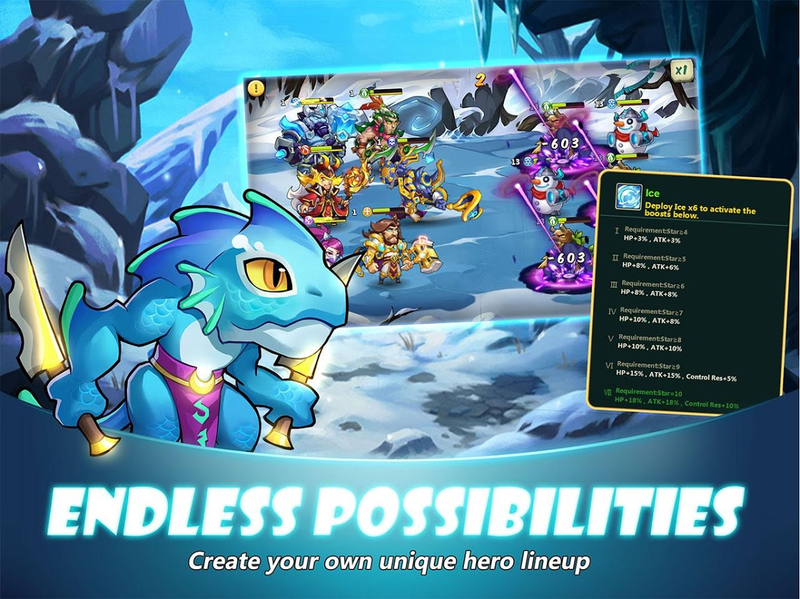 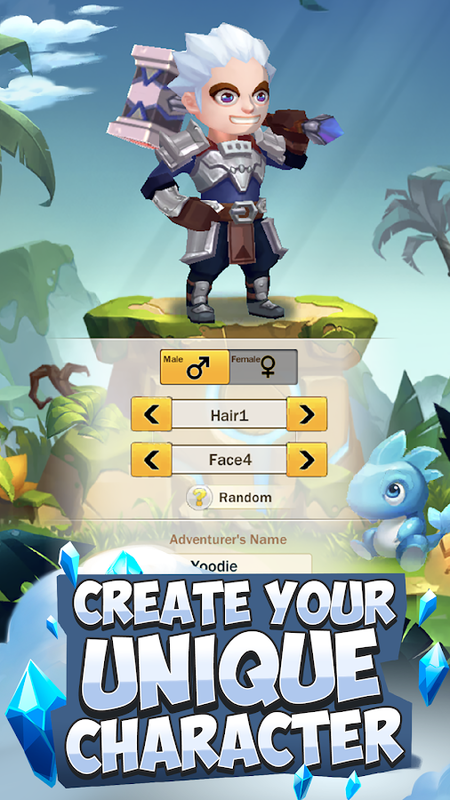 Just like the majority of collection games on the play store, you'll have to slowly upgrade and combine your heroes until you finally create the strongest characters in the game. So be prepared to do a lot of grinding. 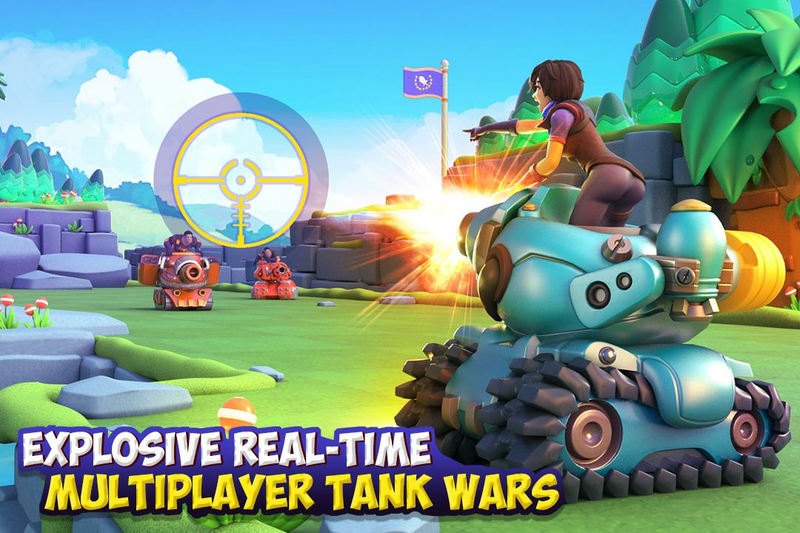 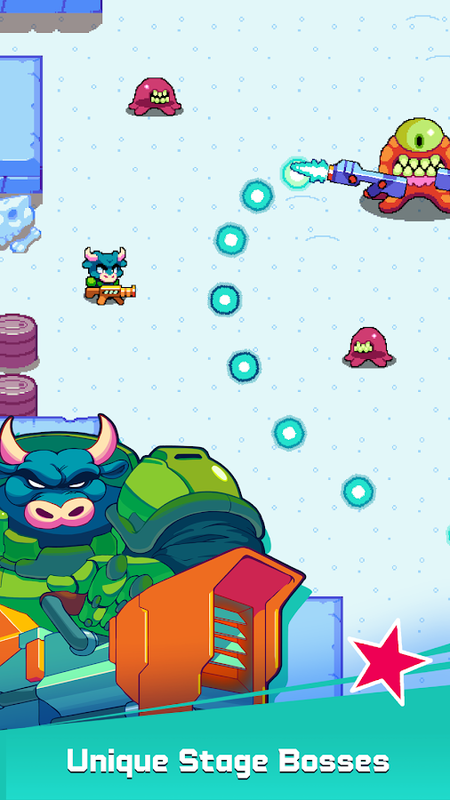 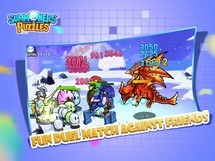 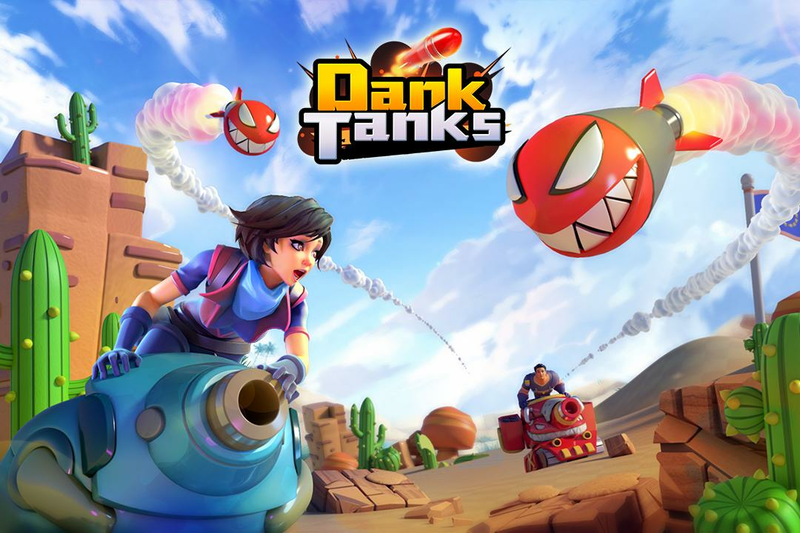 Dank Tanks is a new PvP multiplayer game with an adorable style and casual gameplay. 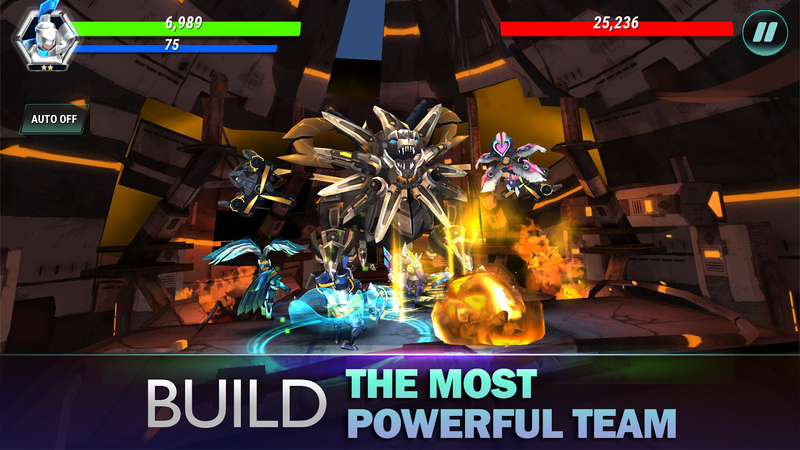 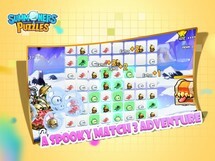 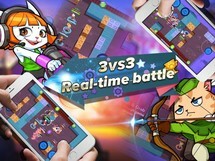 Three players can face off against one another is a battle to the death, all in real time. 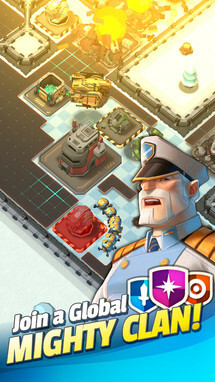 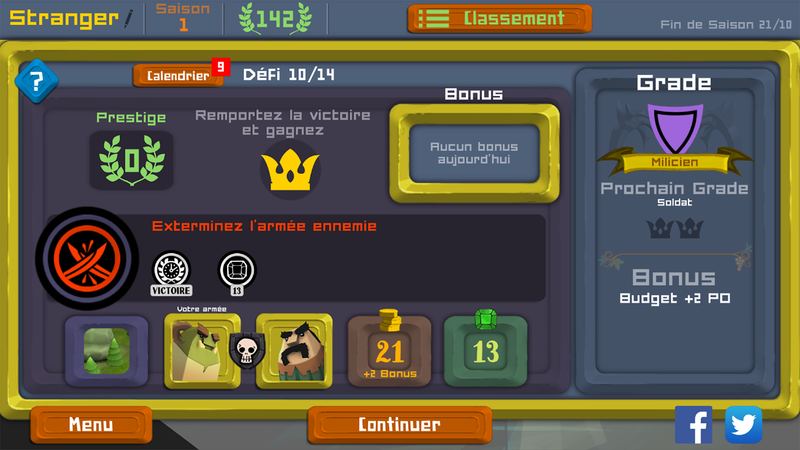 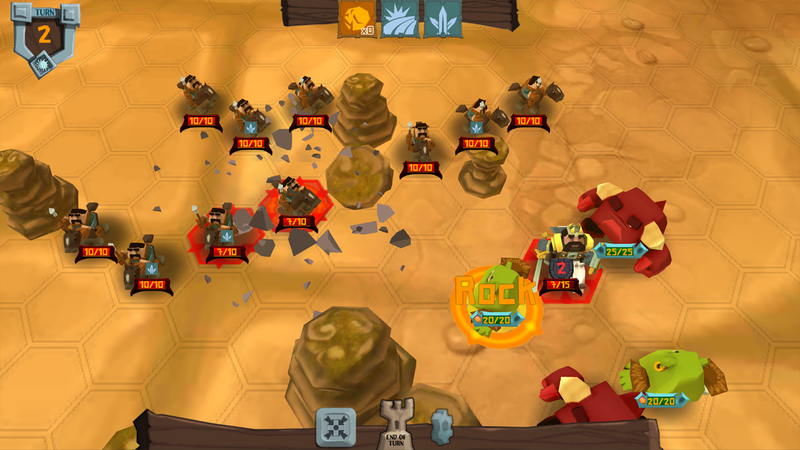 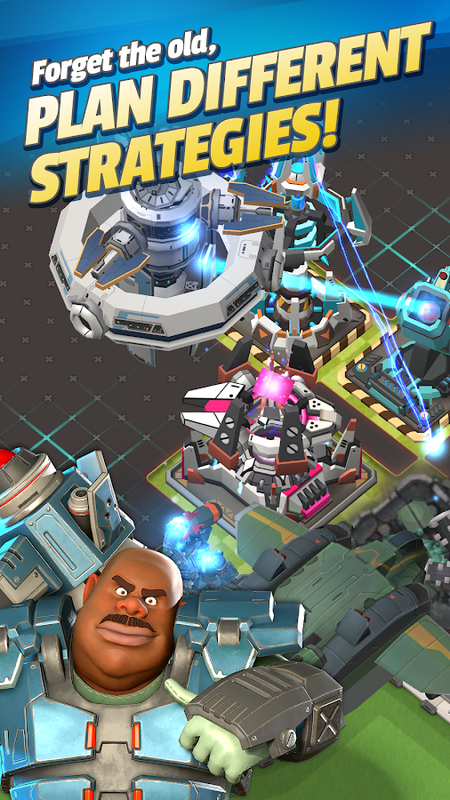 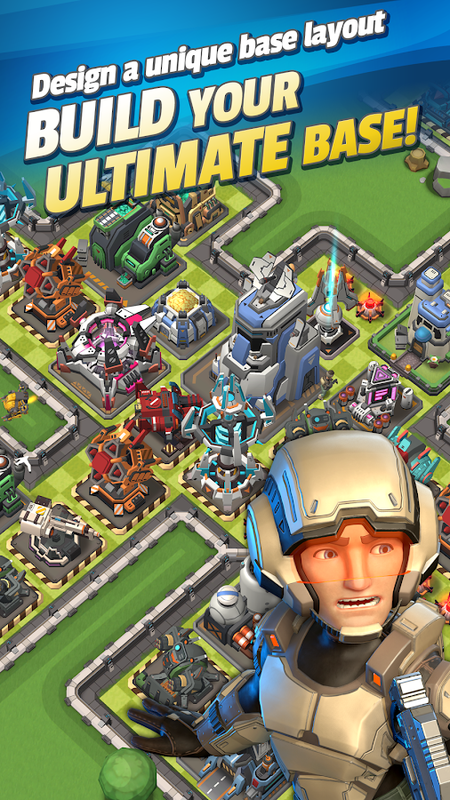 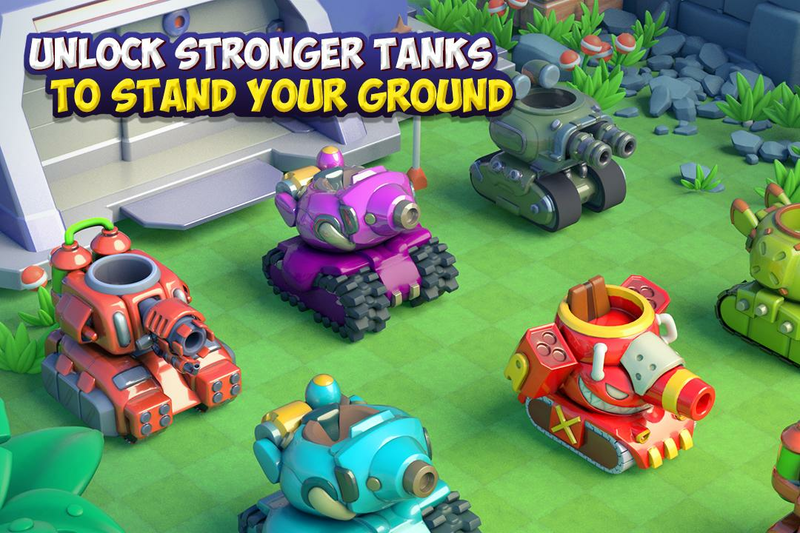 Of course, each tank has its own unique abilities, which adds a layer of strategy to the game when facing off against random players. 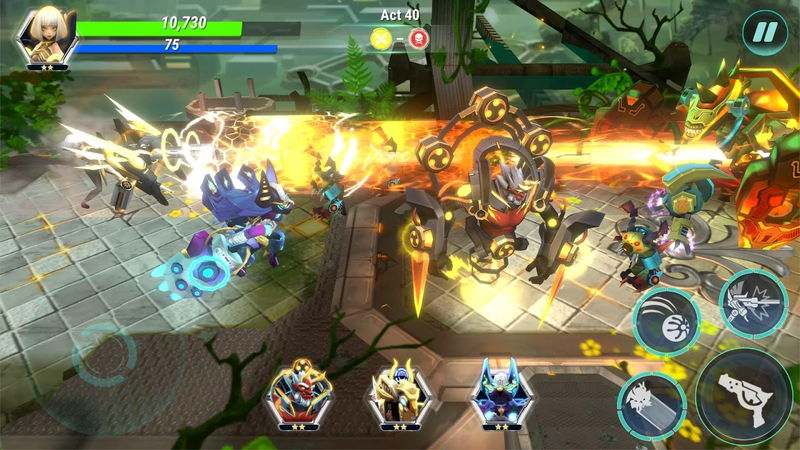 Summoners & Puzzles may be a match-3 game, but unlike many of them, this release actually requires some strategy from the player. 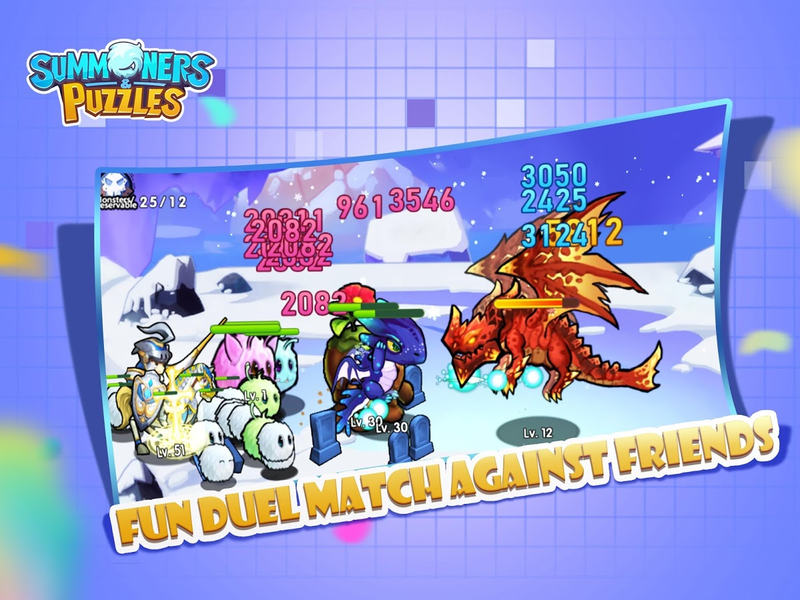 Of course, what would a match-3 game be without some sort of RPG-based collectible card system? 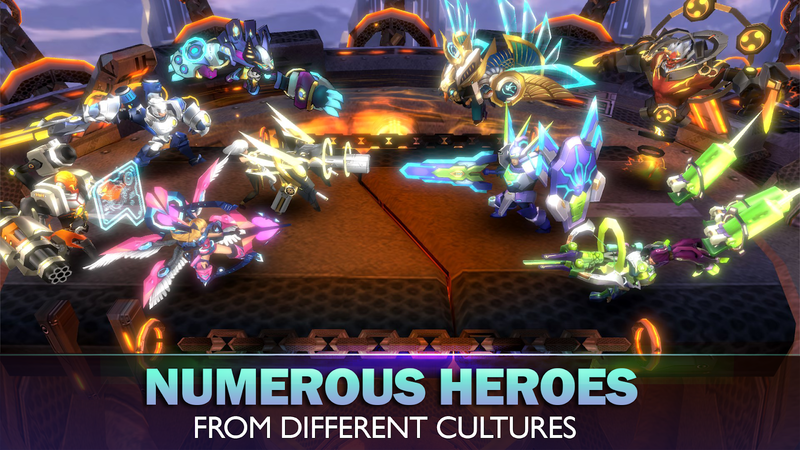 I mean, why not mash up multiple free-to-play genres into one? 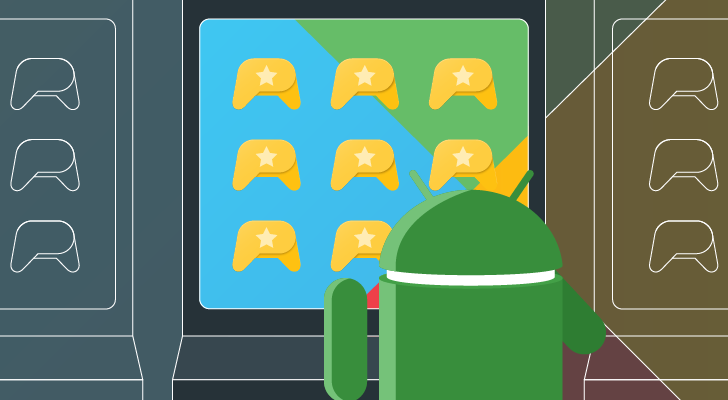 If you can't get players addicted to one type of system, it makes sense to stuff in more so that something will inevitably interest your customers. 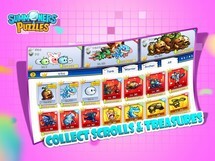 Welcome to the mobile gaming world, where a cornucopia of addictive designs are used to fleece the populace. 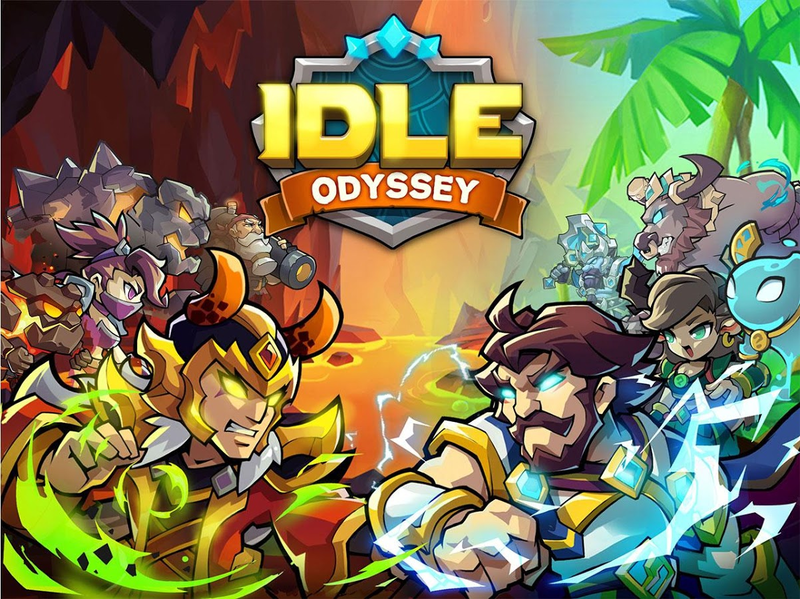 Idle Odyssey is an endless idle RPG with auto combat. 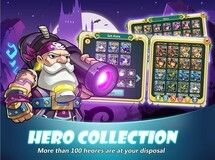 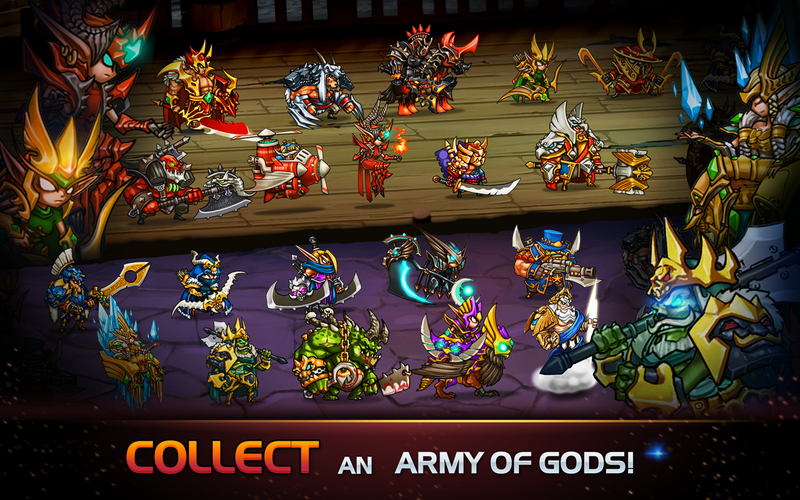 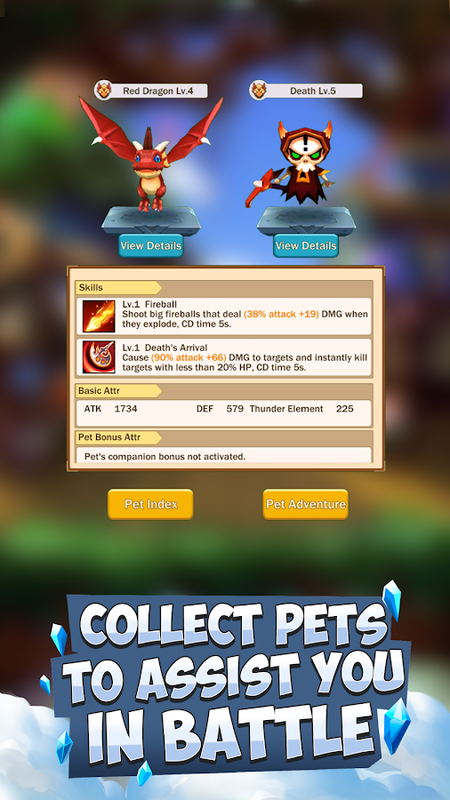 There are over 200 collectible heroes spread out over six separate classes. 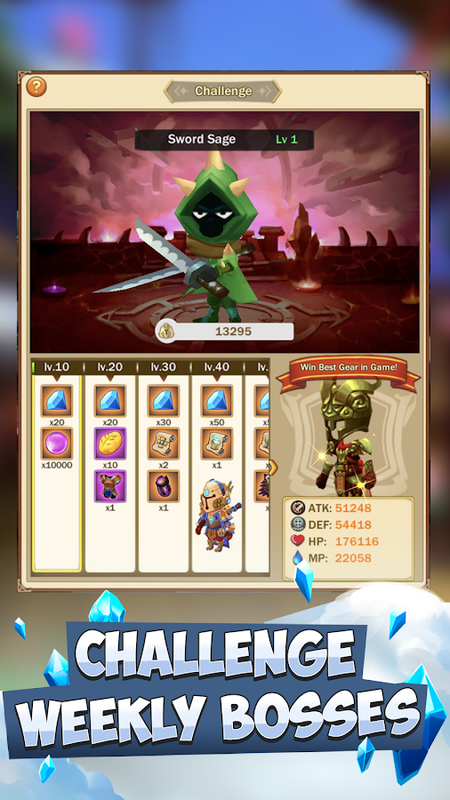 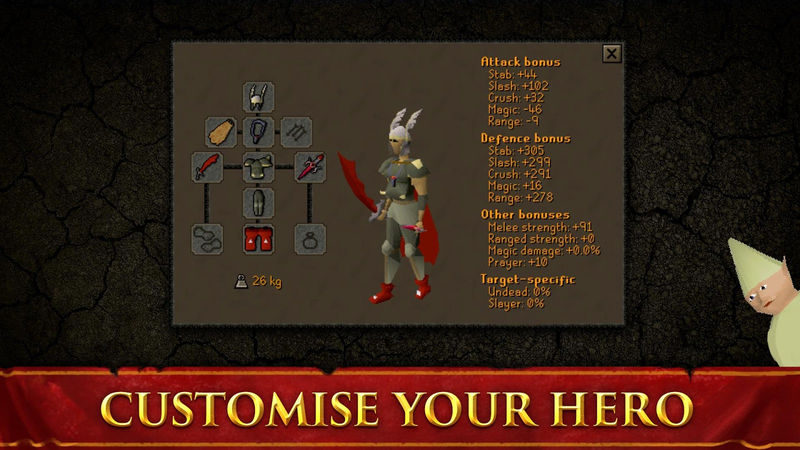 You have the ability to not only craft a unique army with plenty of different skills, armor, and items, but you can also try your hand against random players in the many challenging PvP clashes. 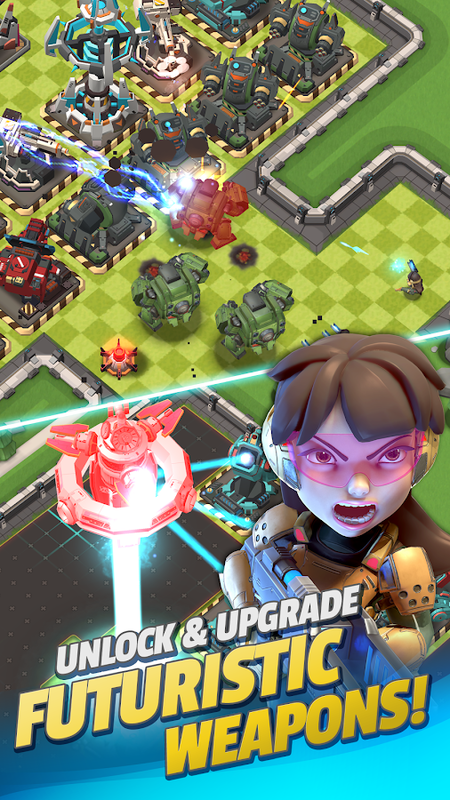 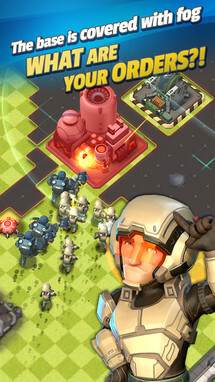 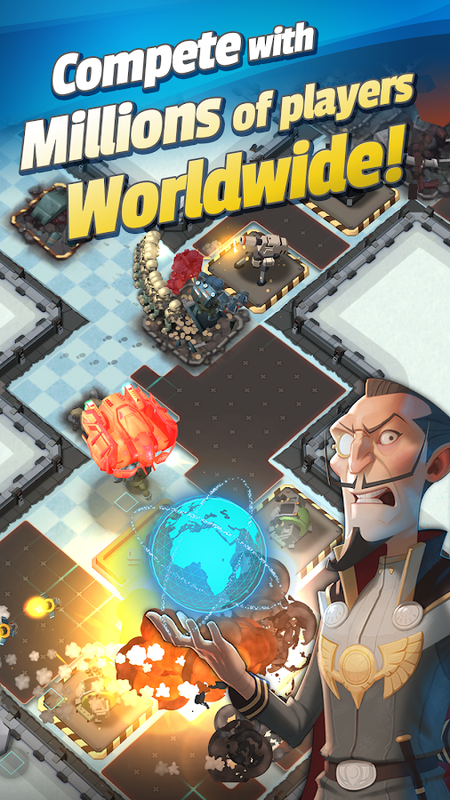 Mad Rocket: Fog of War is yet another free-to-play "strategy" game that includes base-building and a season pass. As if the in-app purchases weren't egregious enough, now every dev is going to offer some sort of season pass to milk even more funds out of their player base. 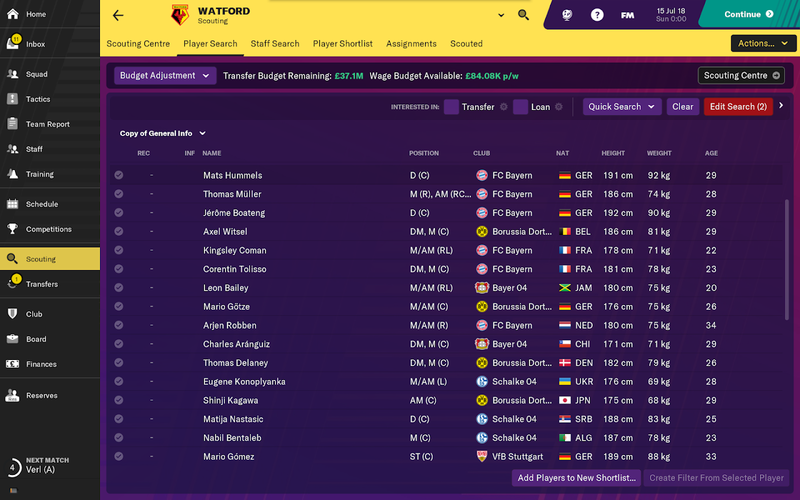 I guess if you enjoy this sort of thing, you'll feel right at home, but for how lopsided these games tend to play, I hardly see why spending money on them is worth it. 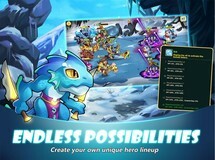 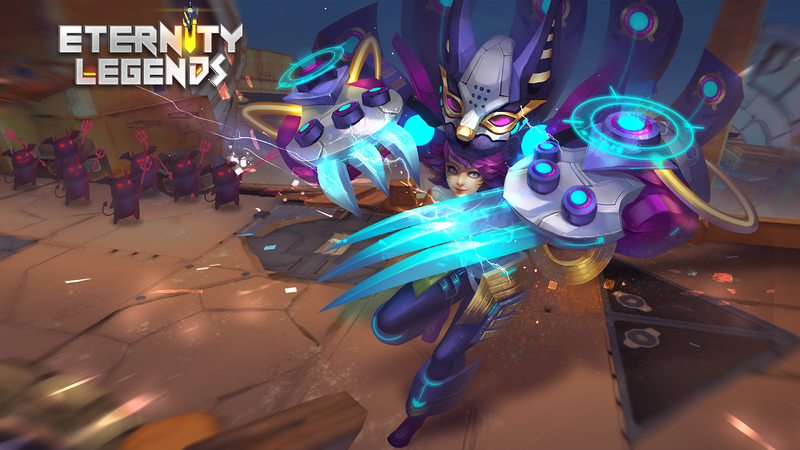 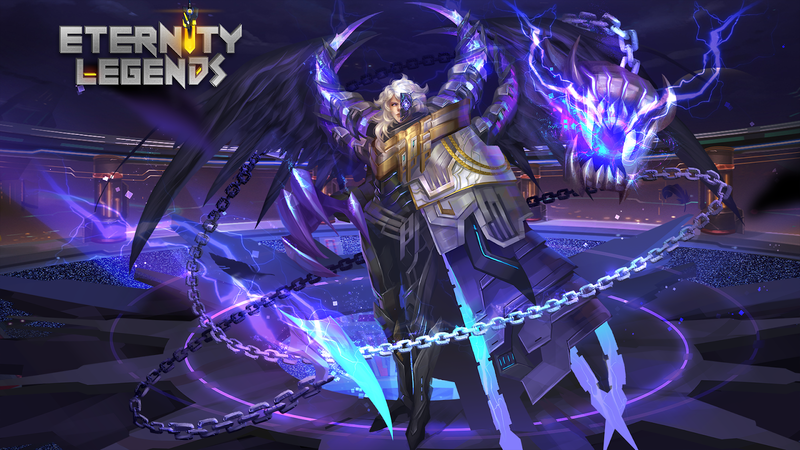 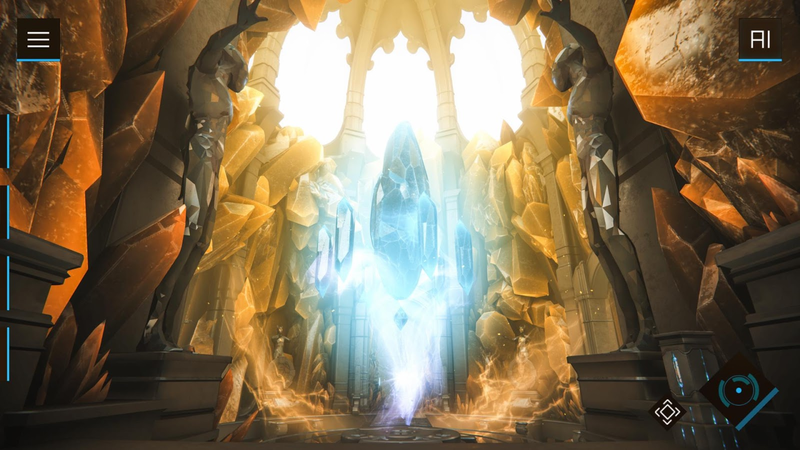 Eternity Legends is a free-to-play action RPG from DIVMOB. 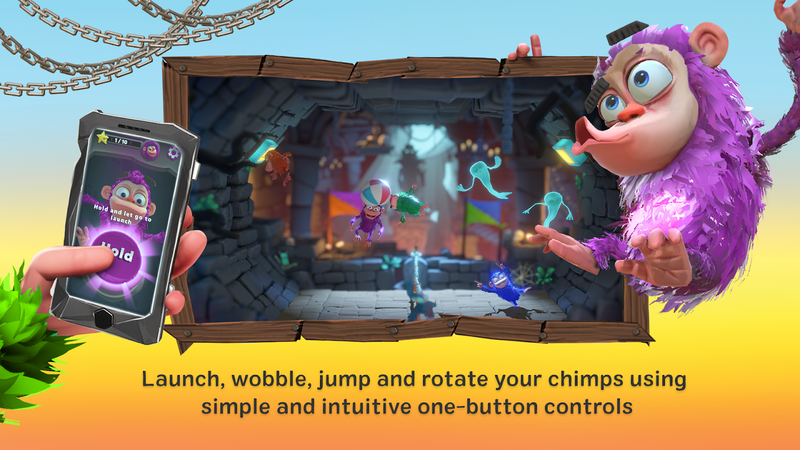 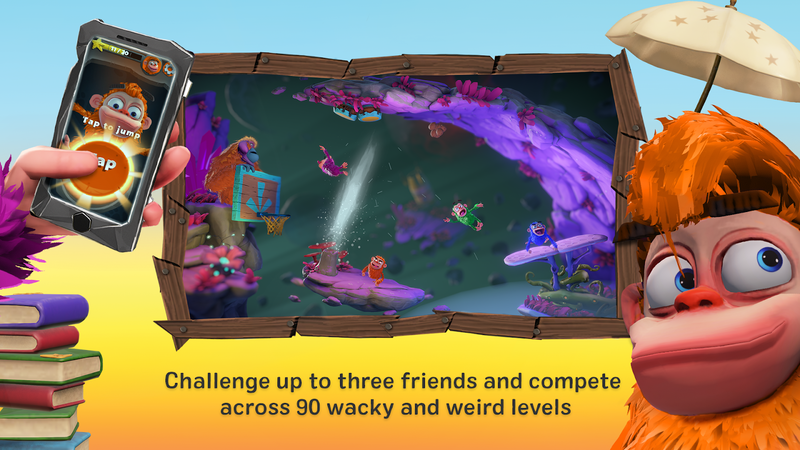 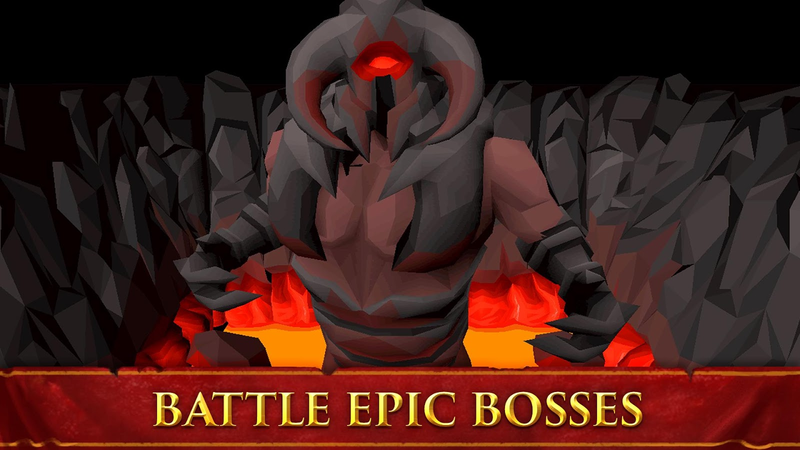 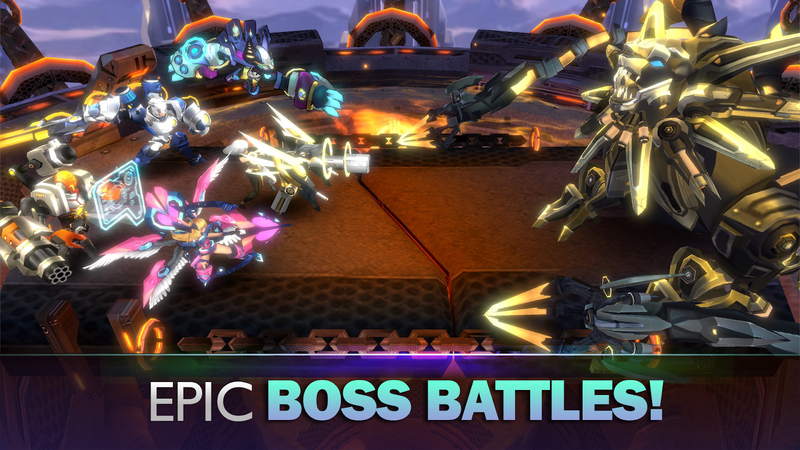 You can expect to find a few different modes to play through, such as an adventure mode, a tower challenge mode, daily challenges, and two separate boss modes. 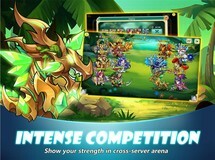 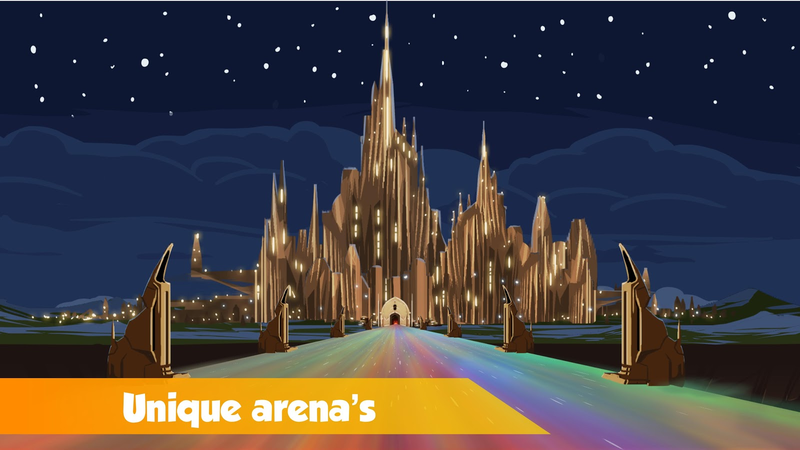 There is also an arena for PvP, not to mention plenty of guilds to join for those of you interested in teaming up. 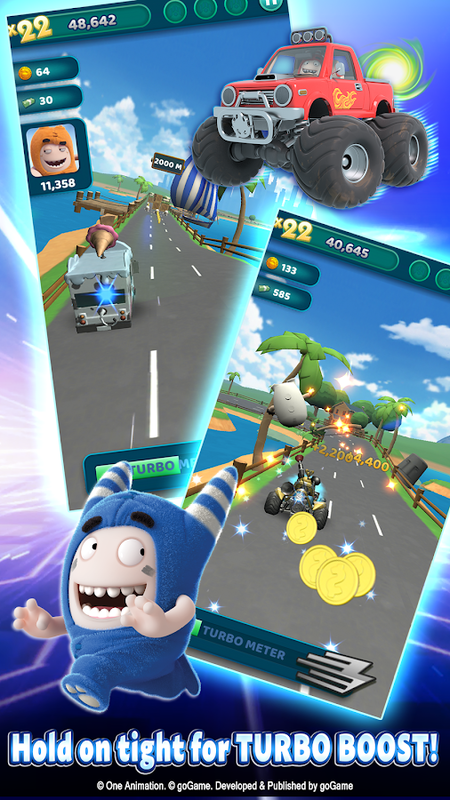 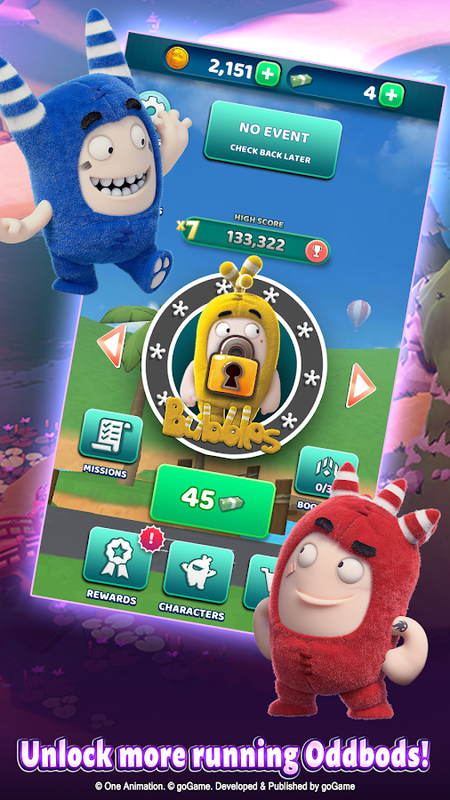 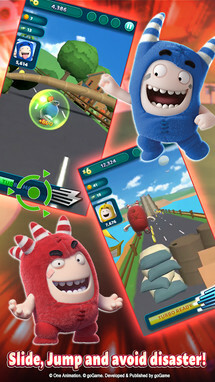 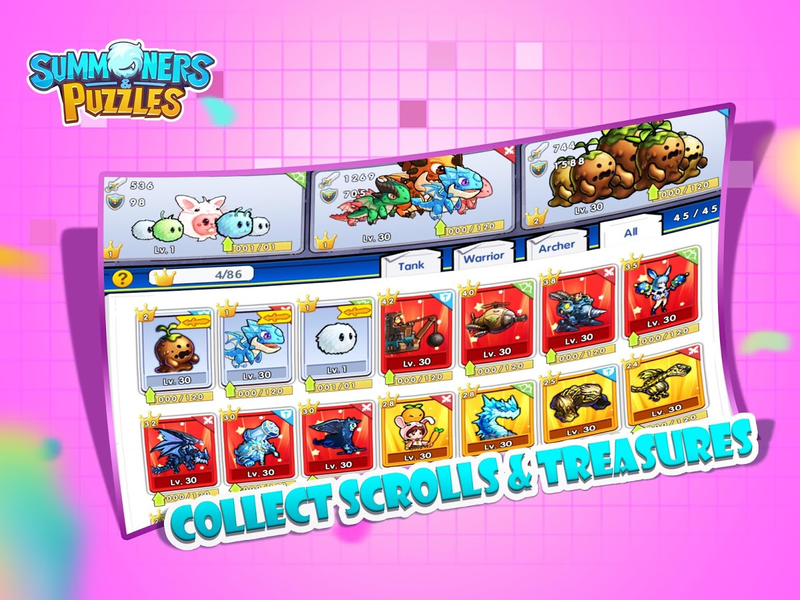 Oddbods Turbo Run is a standard auto-runner with a popular property slapped on top. 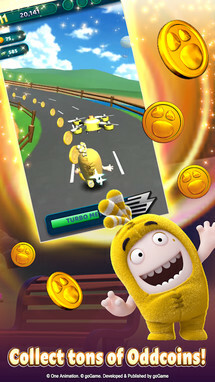 Just swipe on the screen to change lanes or jump, all in an effort to avoid obstacles and collect in-game currency. 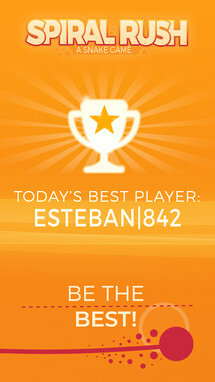 The further you run, the higher your score, which means you may have earned yourself a couple of unique bonuses. 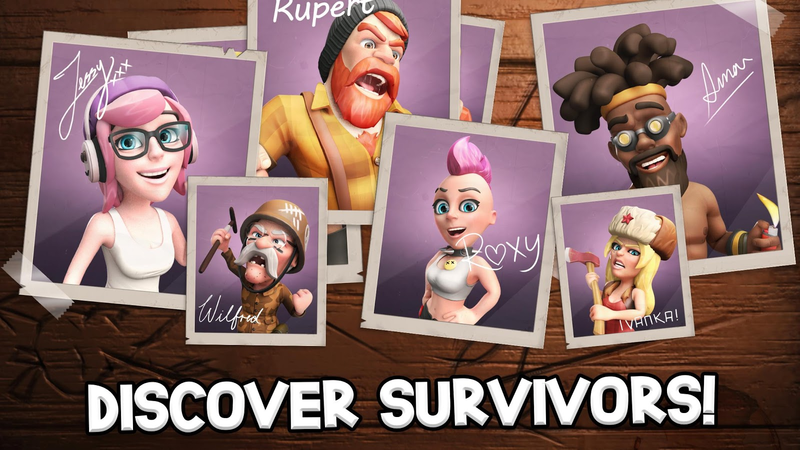 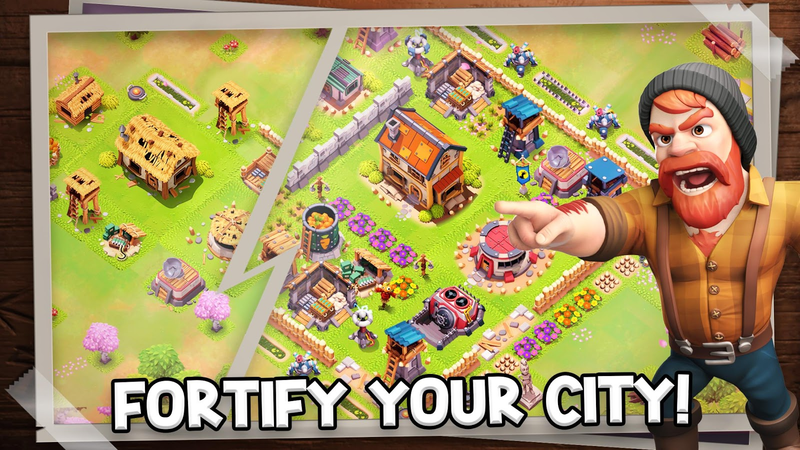 Survival City - Zombie Base Build and Defend is a free-to-play city building game with plenty of survival aspects. 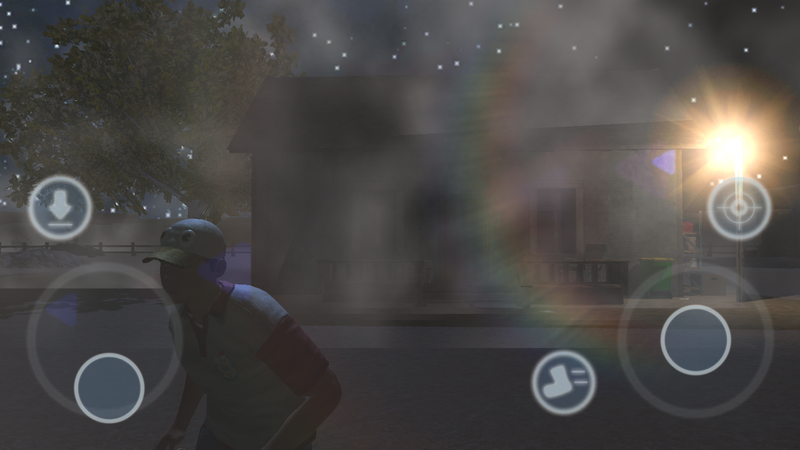 Your job is to find survivors out in the zombie apocalypse so that you can use them to grow your city. 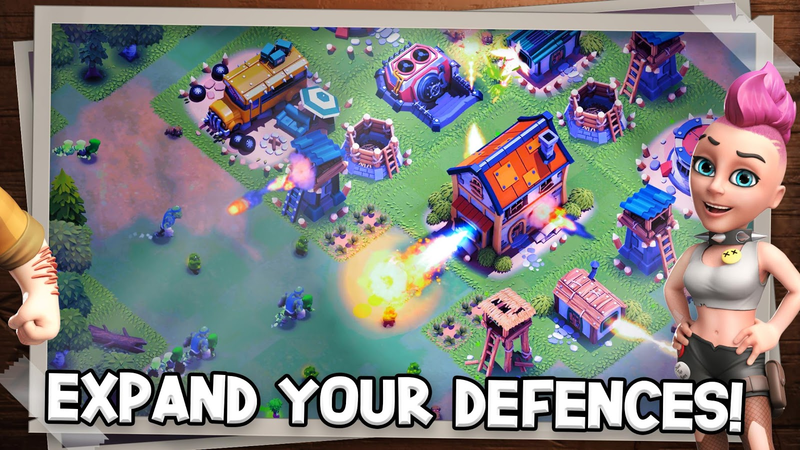 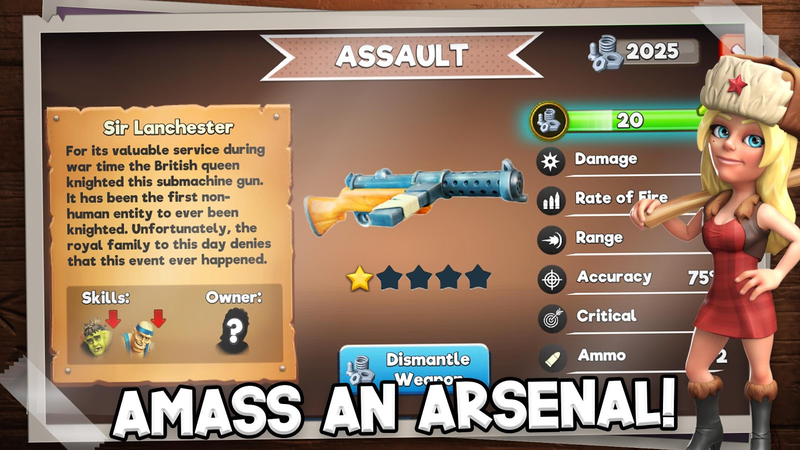 You'll also have to fend off wave after wave of zombies, so you better make sure your defenses are rock solid. 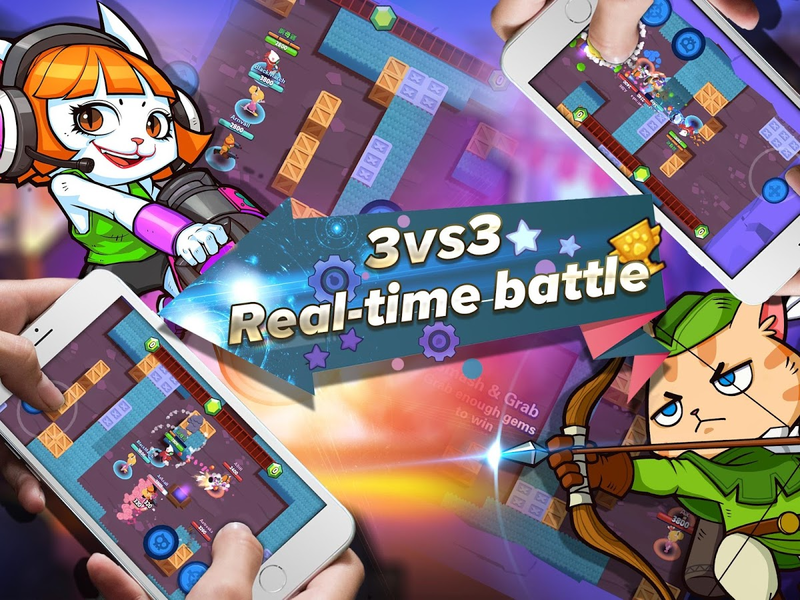 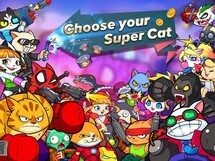 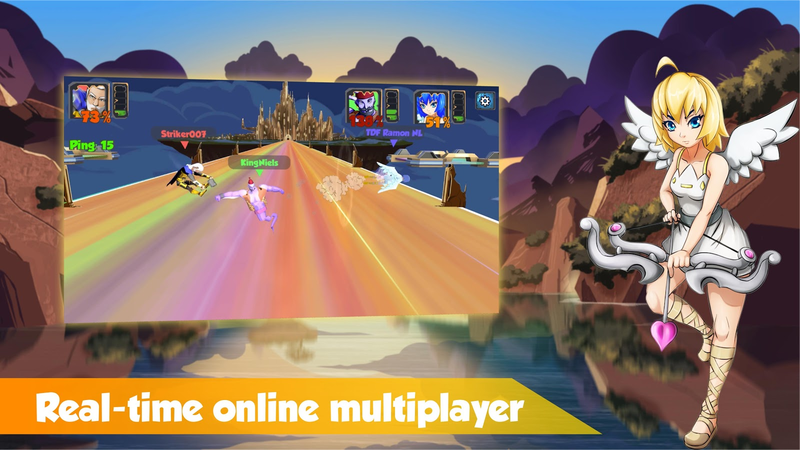 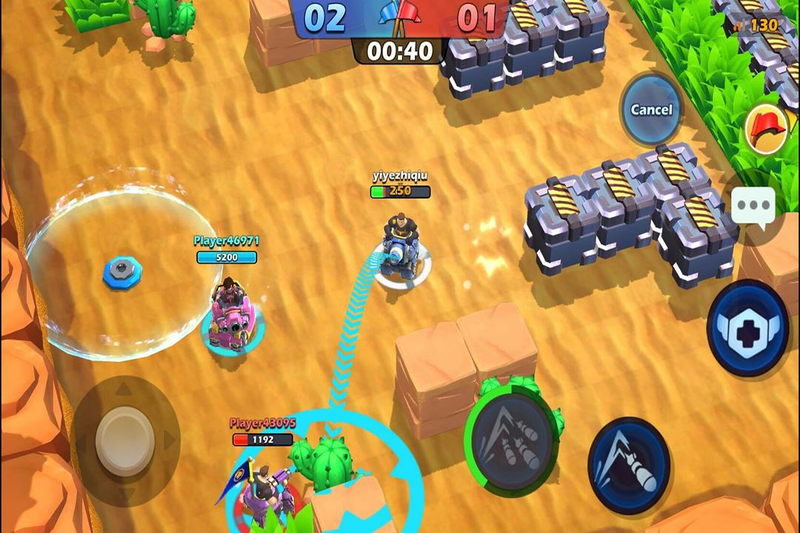 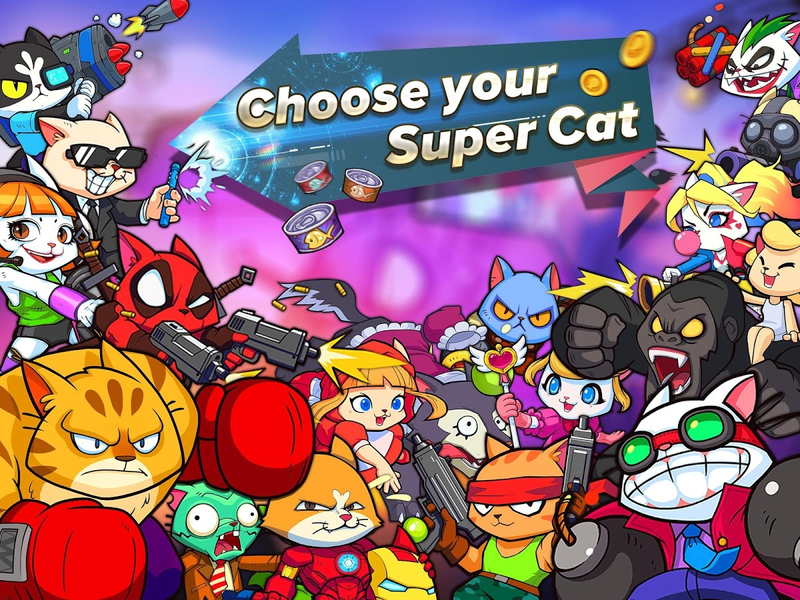 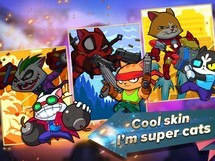 Super Cats is a multiplayer arena party brawler that plays similarly to Supercell's Brawl Stars. 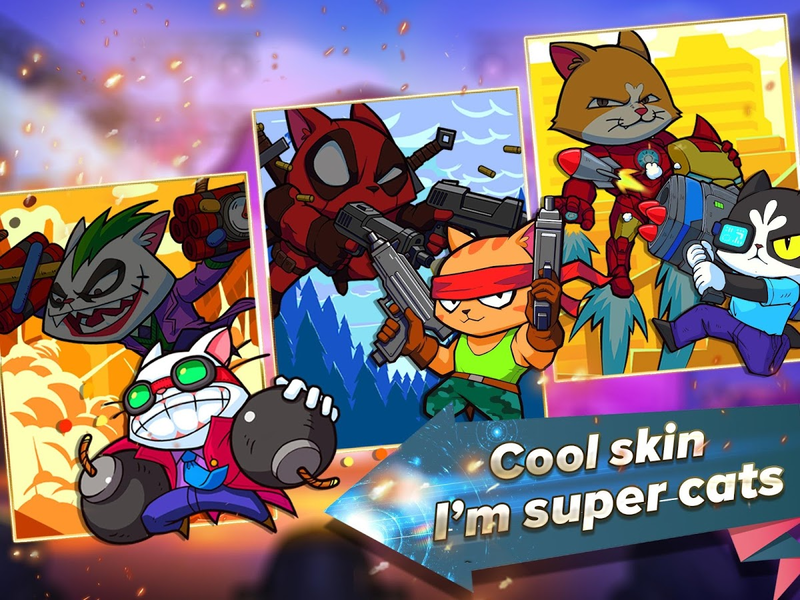 The skin is slightly different, as you'll play as anthropomorphic cats, but really, that's all that differentiates this from its inspiration. 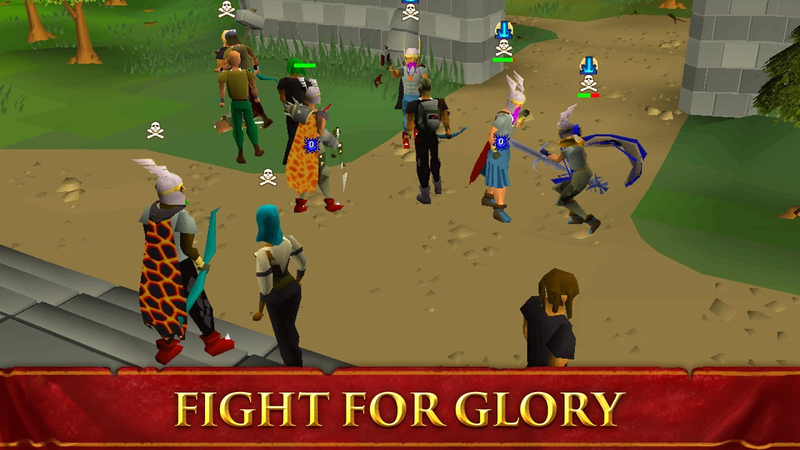 Well, that's not true, as this release also has a lack of players, so you will often play against bots instead of real people. 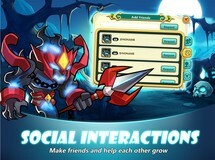 So at best this release is useful for practice unless you can find a group of friends who will want to play. 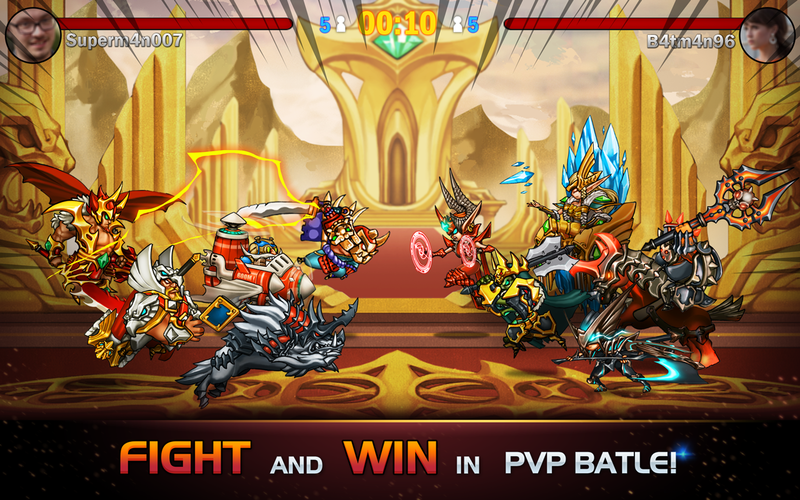 Battle Hunger: Might vs. Magic is a new release that's in an alpha state, so don't expect a fully working game just yet. 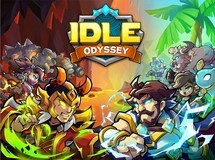 What is there shows promise, thanks to the attractive graphics and enjoyable hack-n-slash side-scrolling gameplay. 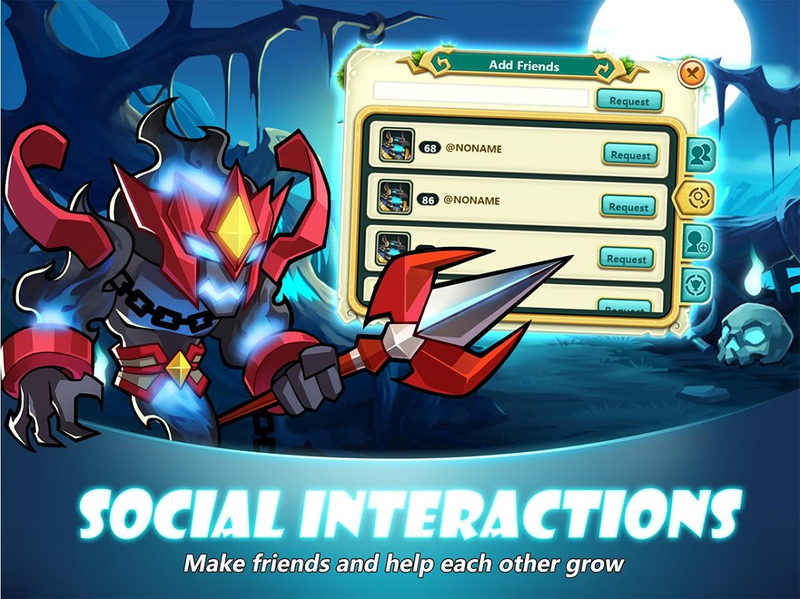 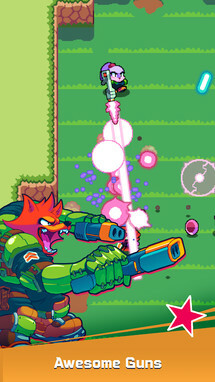 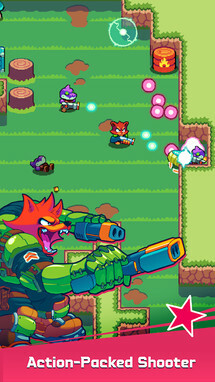 There is a co-op mode so that you can easily play with a friend, and with four separate weapon types at your disposal, each player should be able to find a playstyle they enjoy. 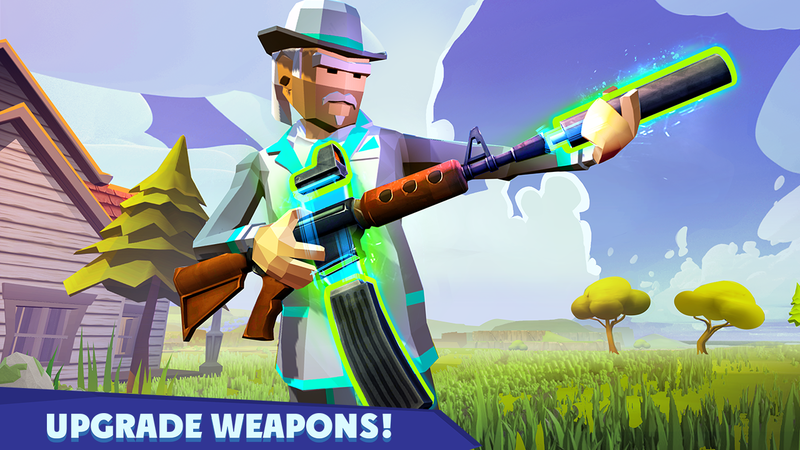 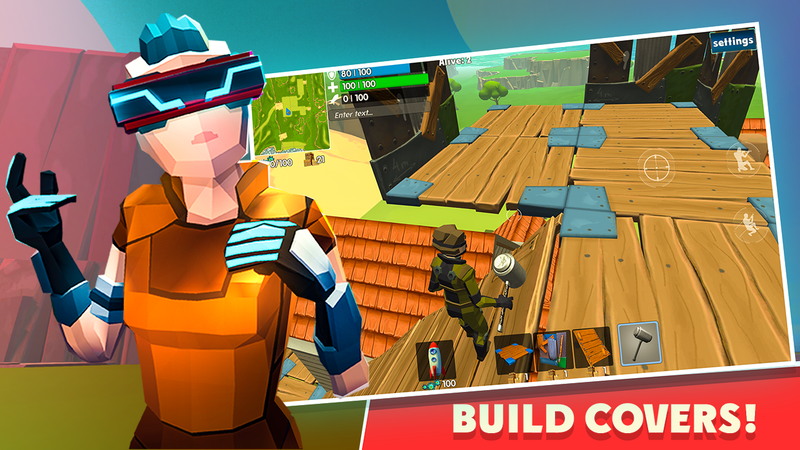 Rocket Royale is the latest online multiplayer bale royale game on the Play store. 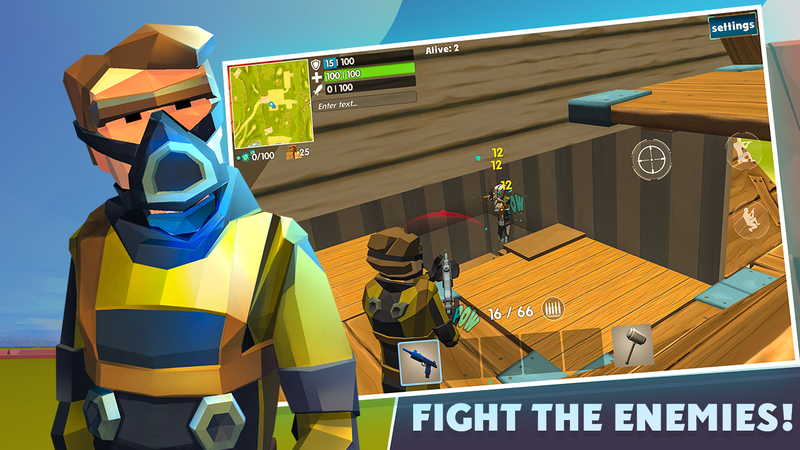 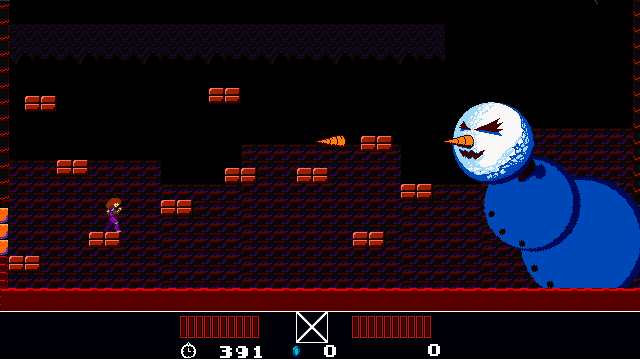 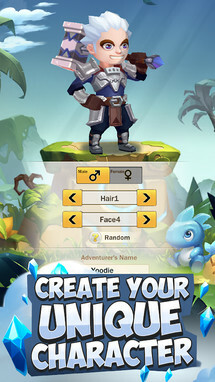 It features graphics that are similar in style to Fortnite, though there is a lack of polish. 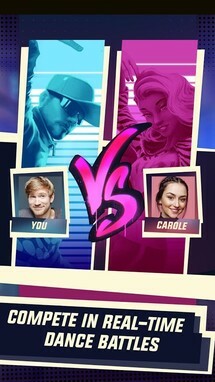 The battle royale gameplay works just as expected, and there is even a duo mode if you'd like to team up with a friend. 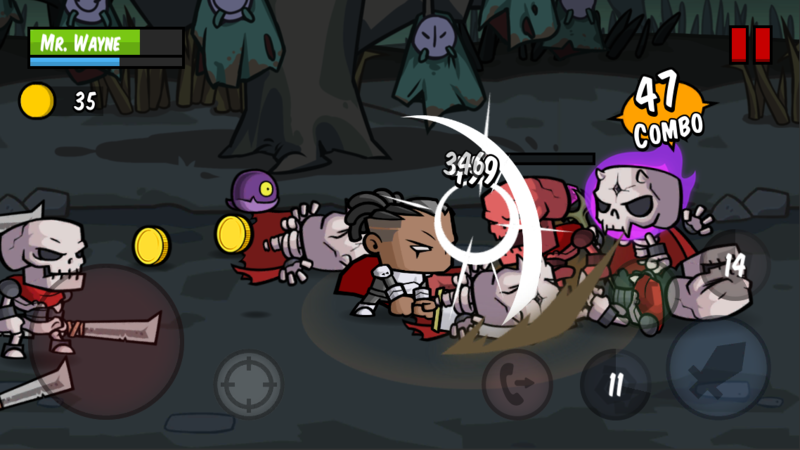 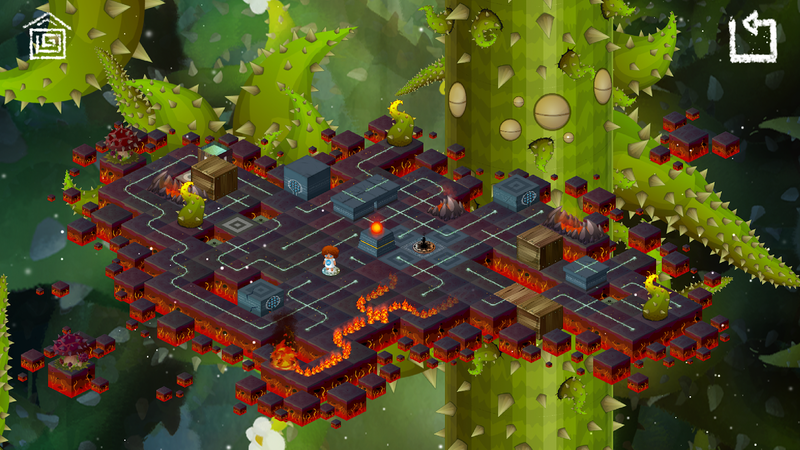 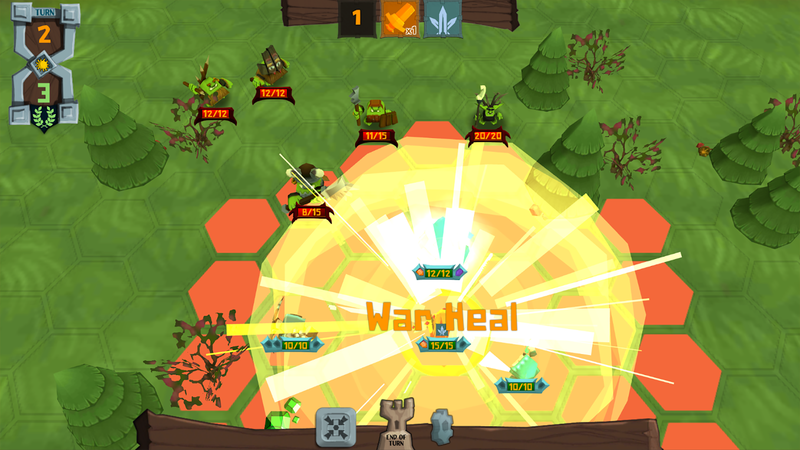 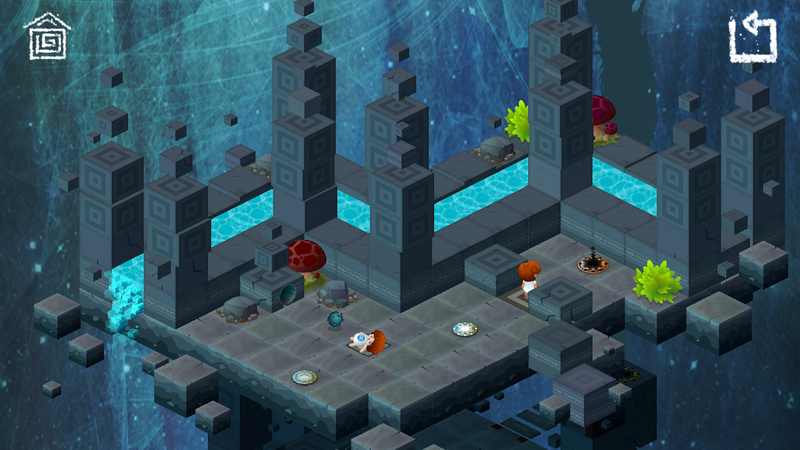 Trigger Heroes is a roguelike shooter with one-touch controls and a wide variety of weapons. 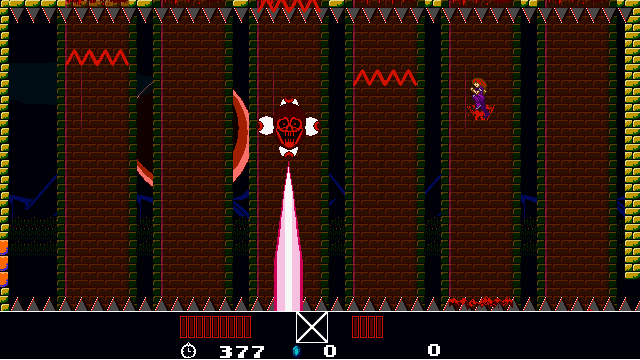 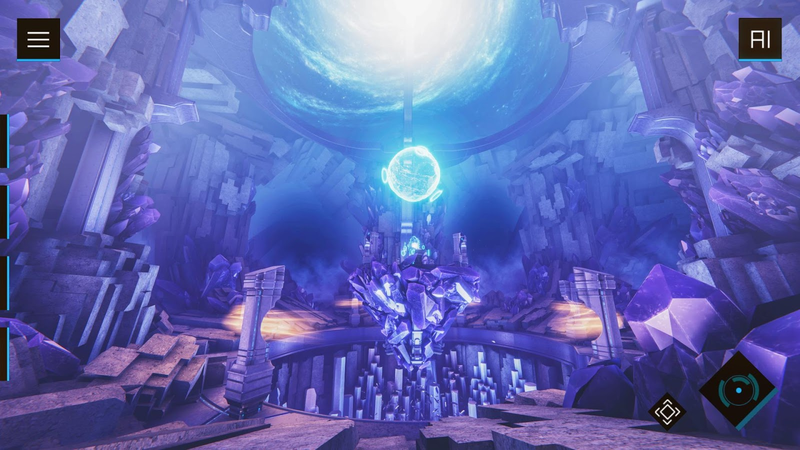 There are five unique environments to explore, and plenty of boss fights to break up the standard shooting gameplay. 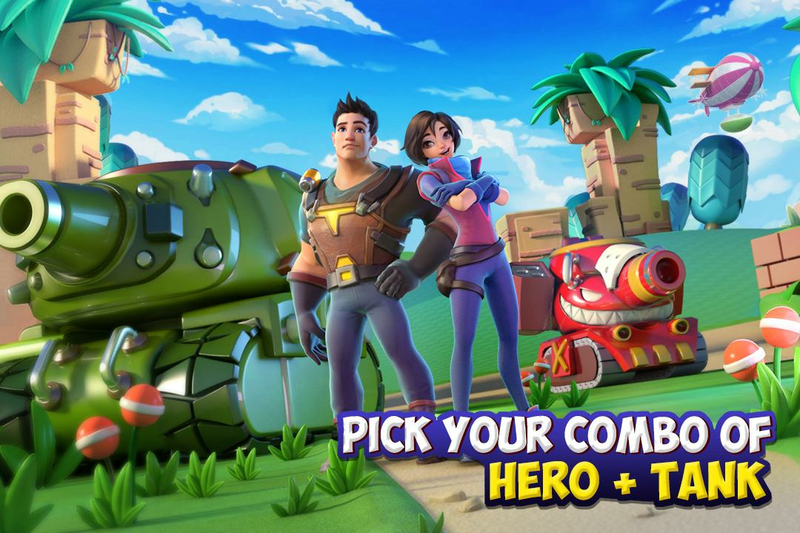 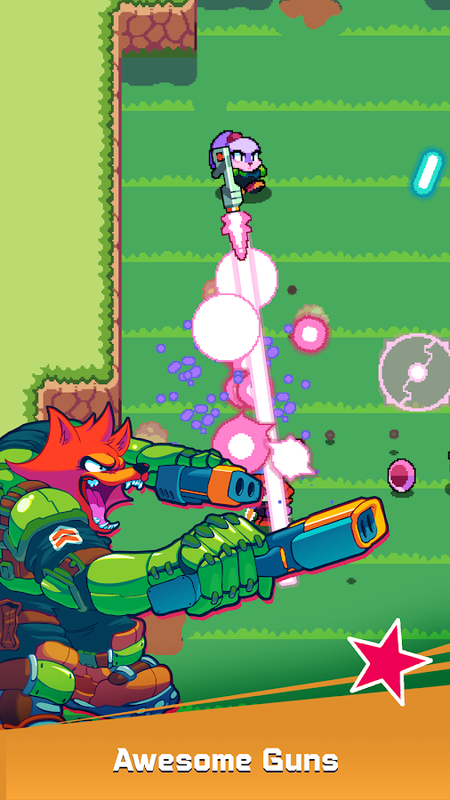 So if you're looking for a new shooter to blast your way through, make sure to give Trigger Heroes a shot. 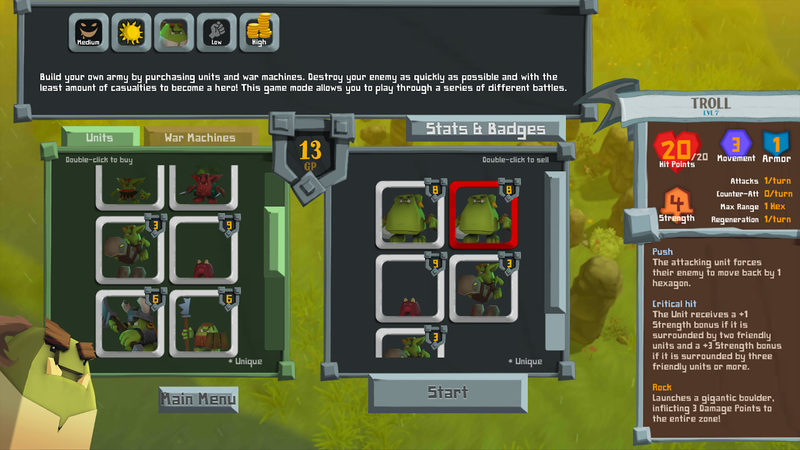 Paradox Interactive is probably best known in the Android gaming world for publishing Knights of Pen & Paper. 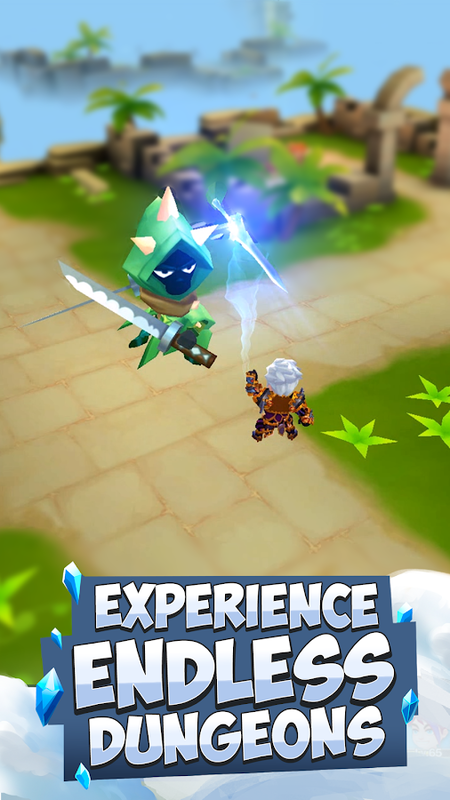 Its latest release Knights & Dungeons: Epic Action RPG may have a similar title, but the gameplay couldn't be more different. 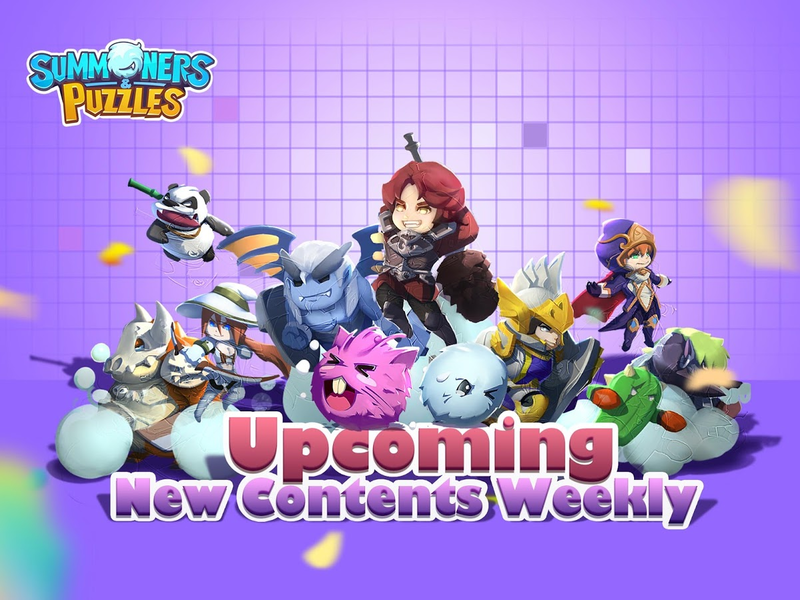 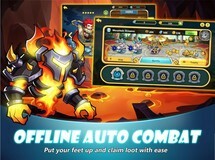 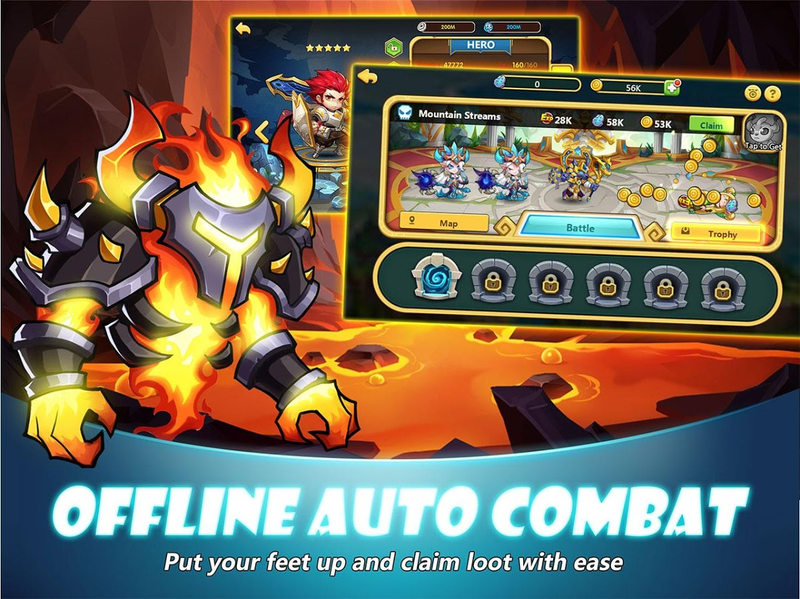 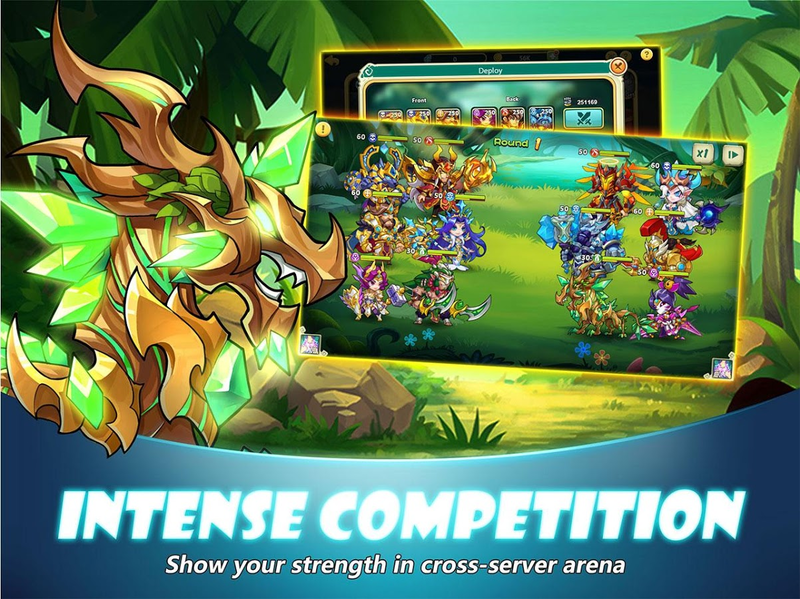 This release is closer to an action RPG, with a very heavy emphasis on free-to-play gameplay that relies on plenty of in-app purchases to progress at a reasonable pace.